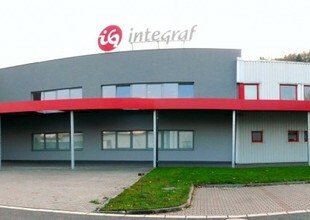 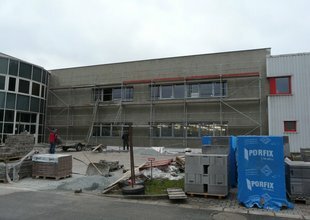 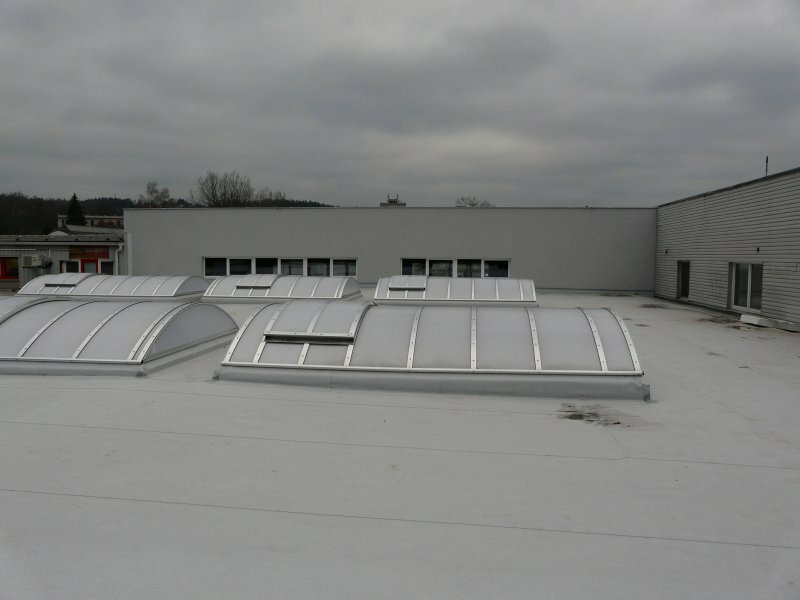 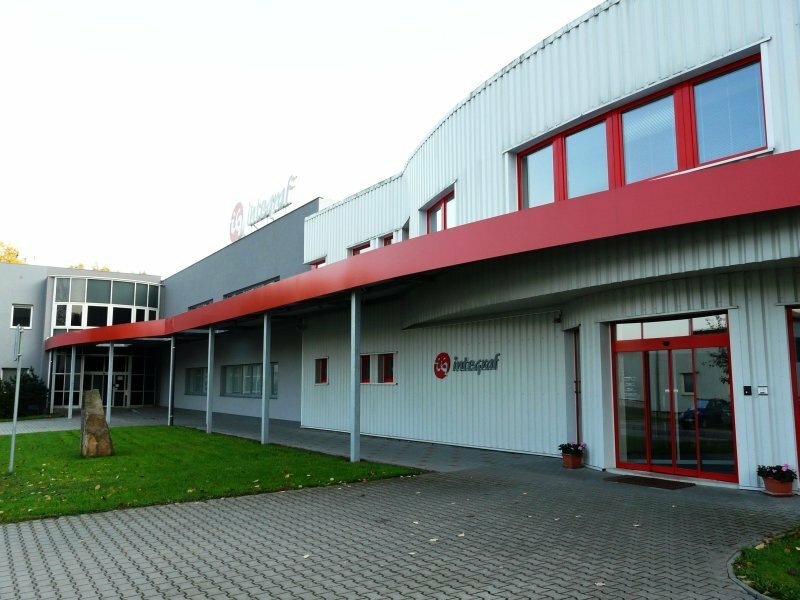 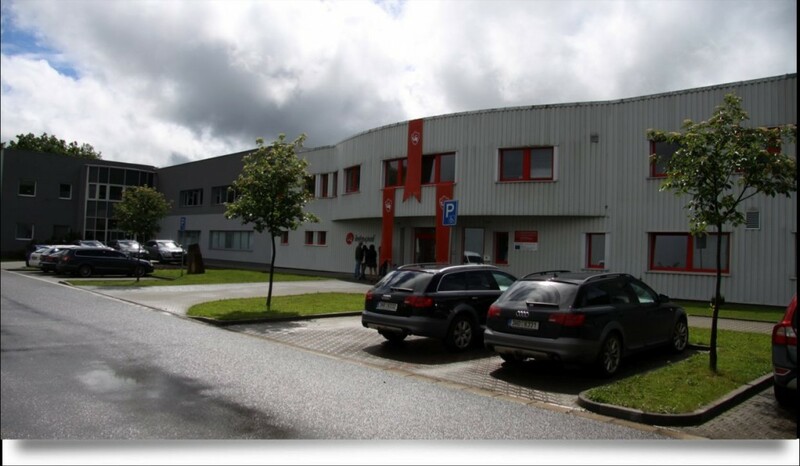 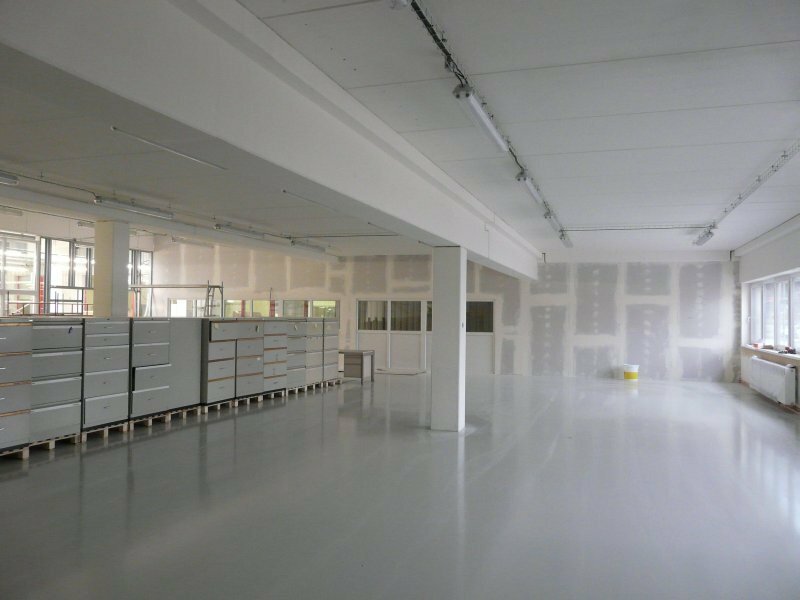 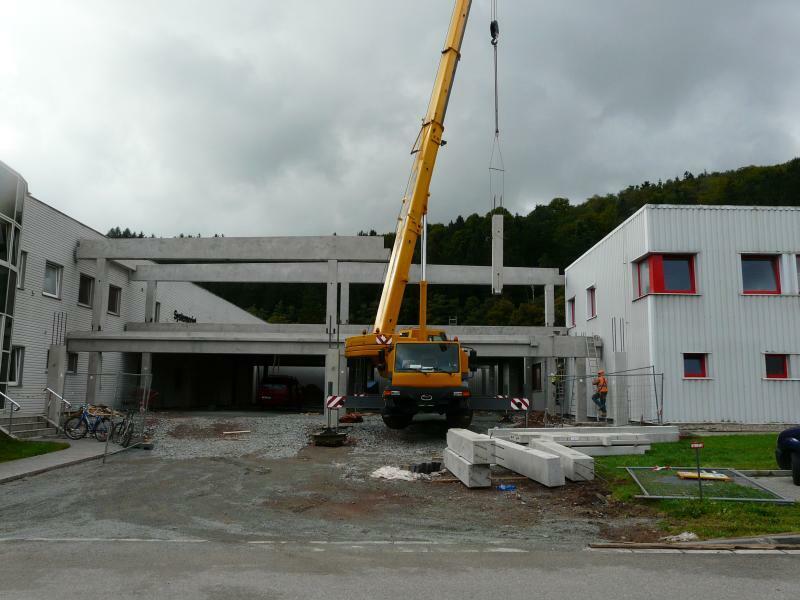 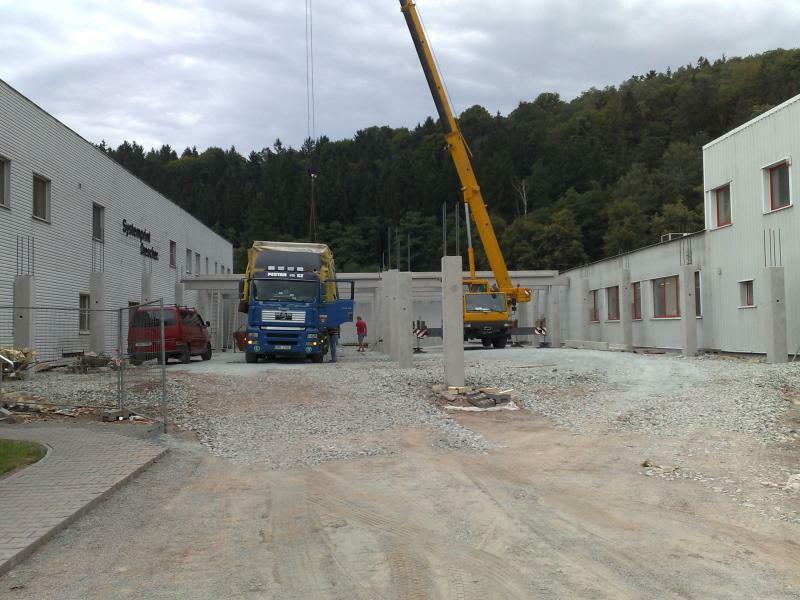 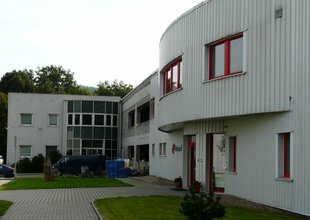 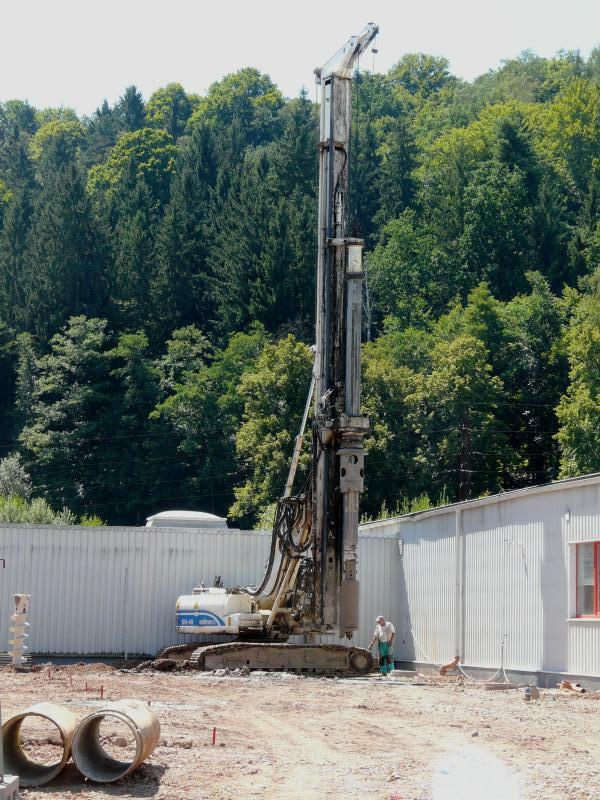 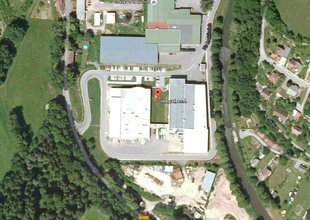 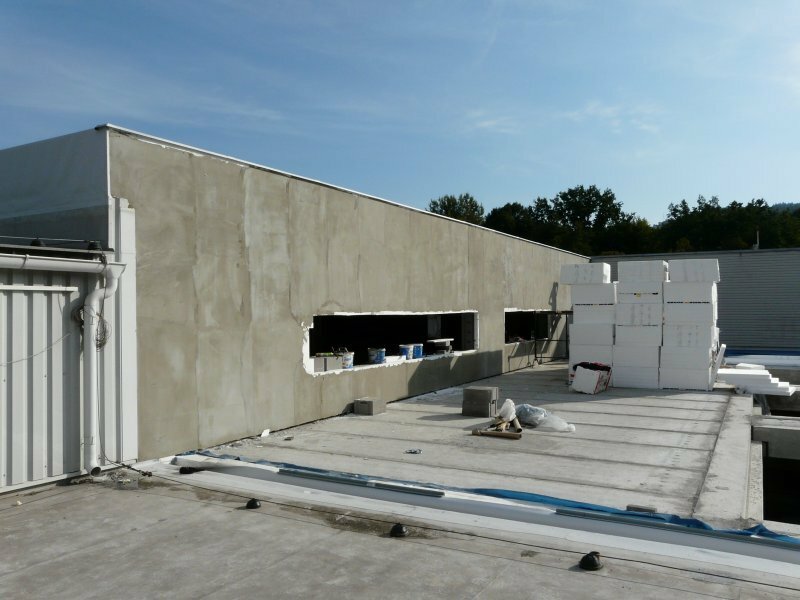 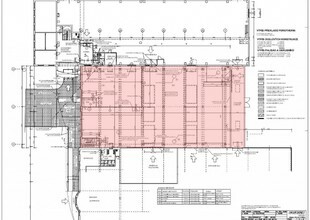 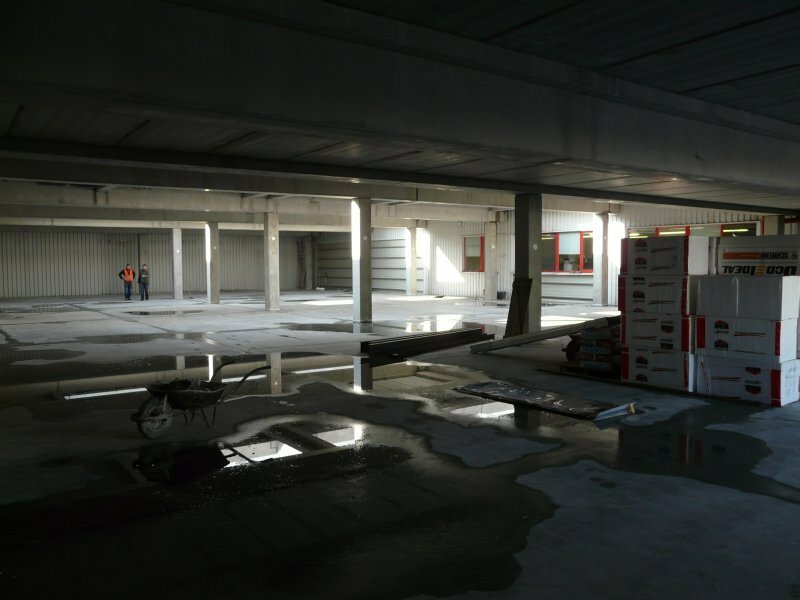 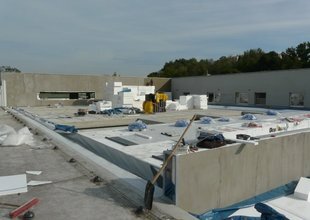 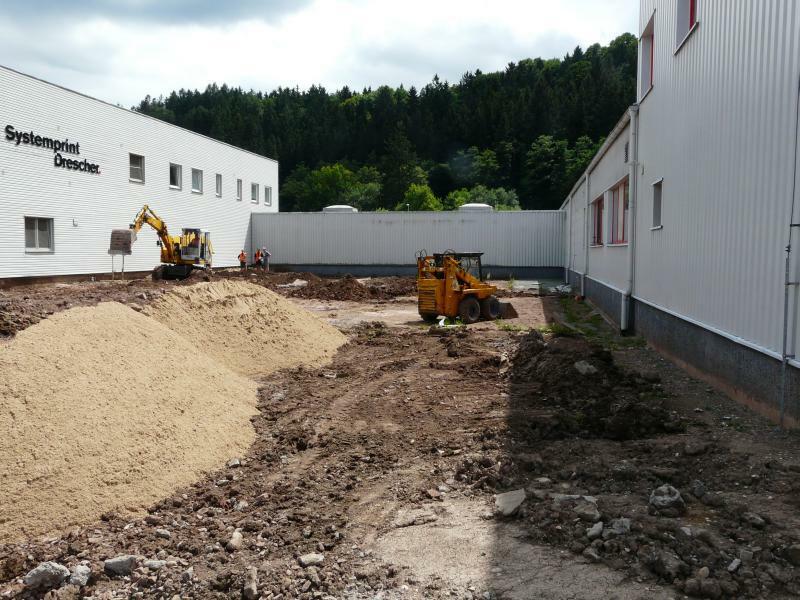 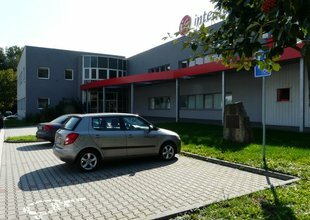 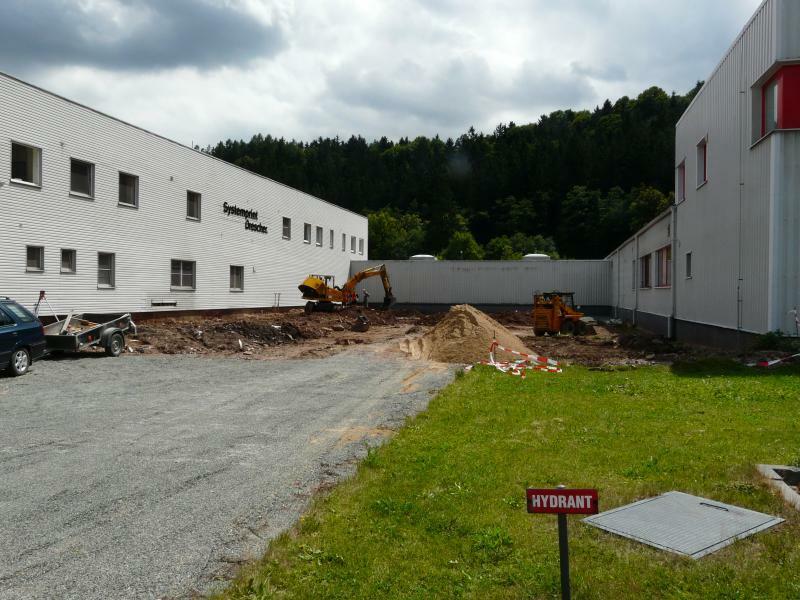 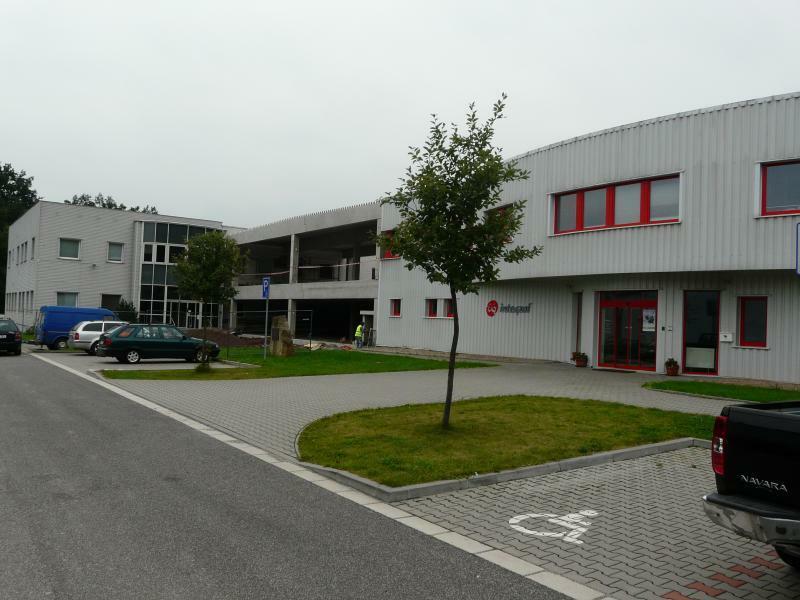 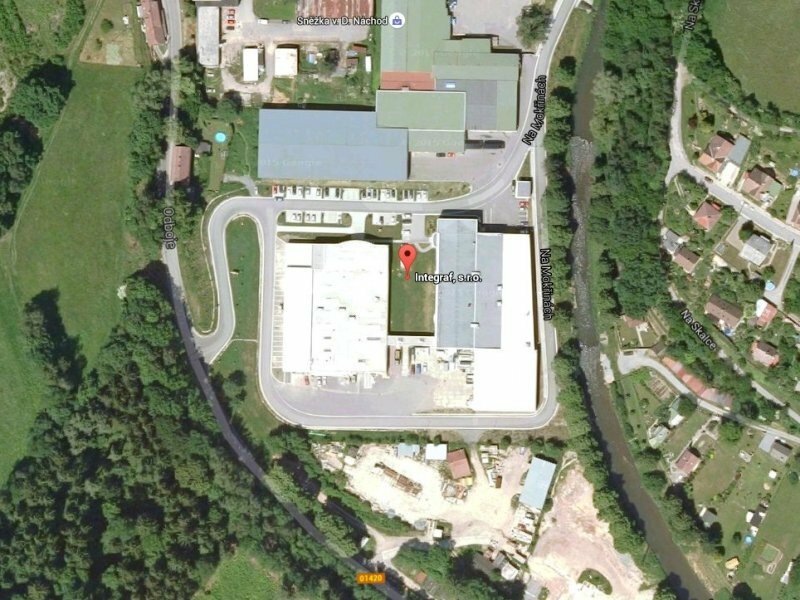 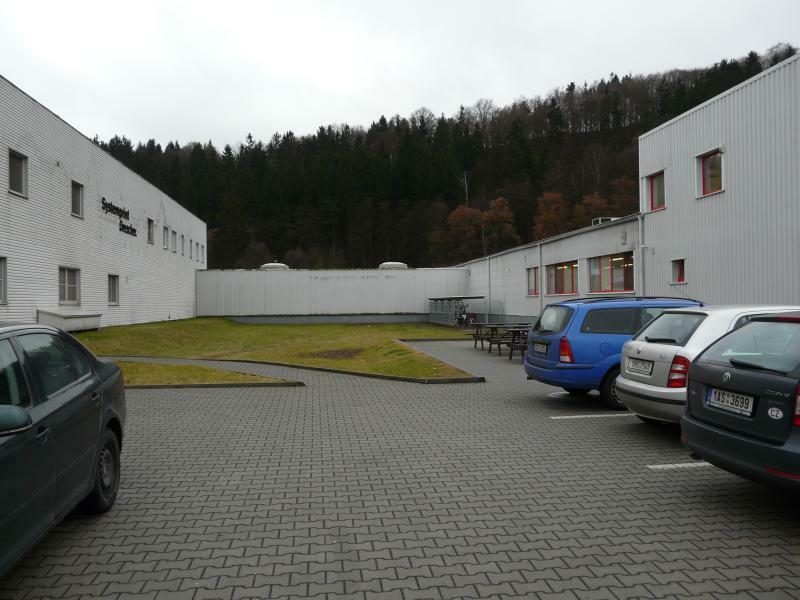 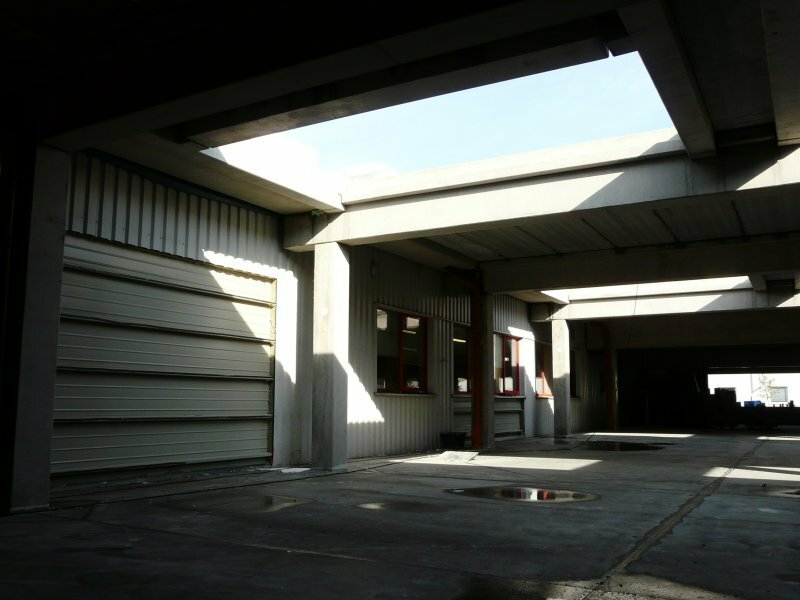 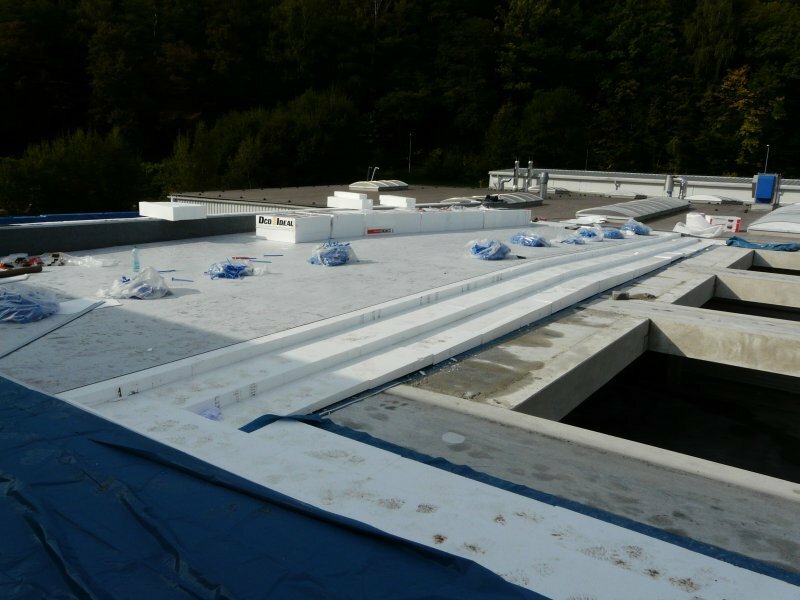 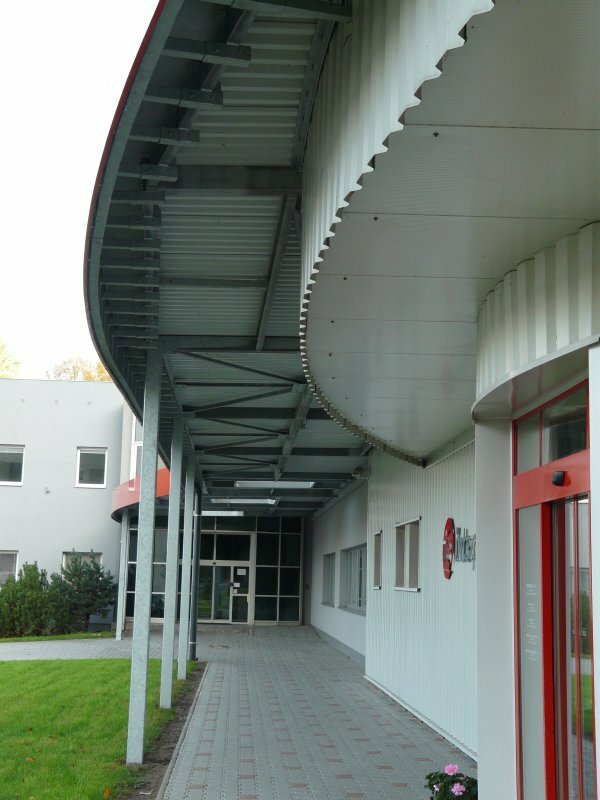 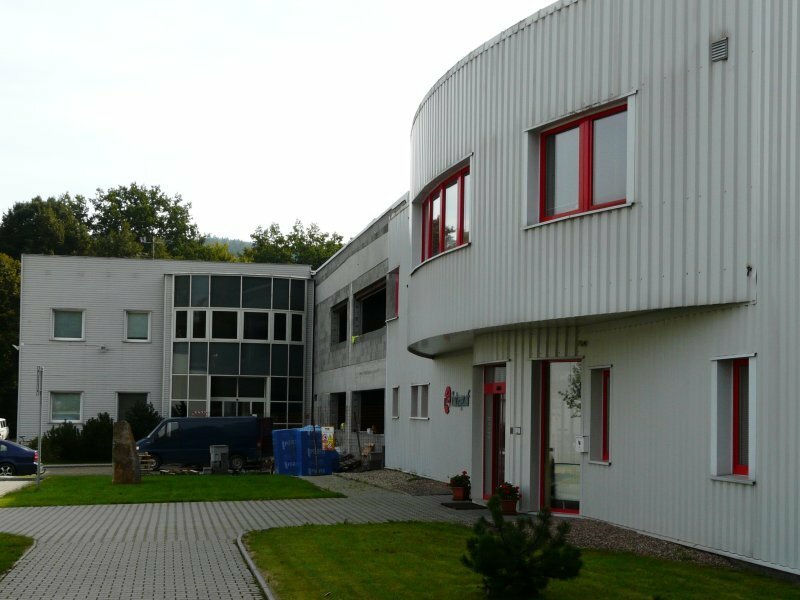 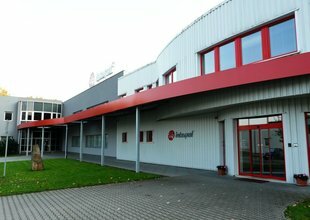 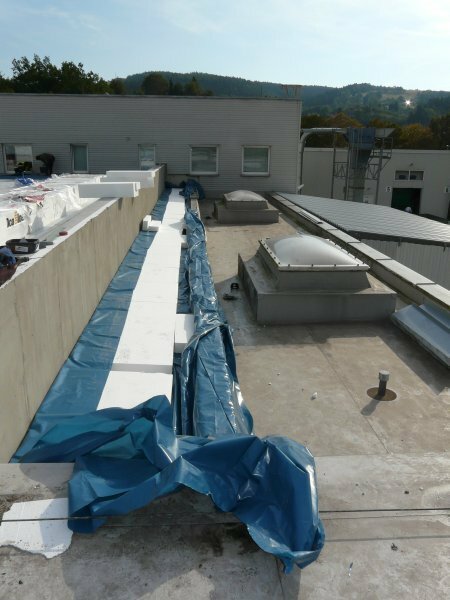 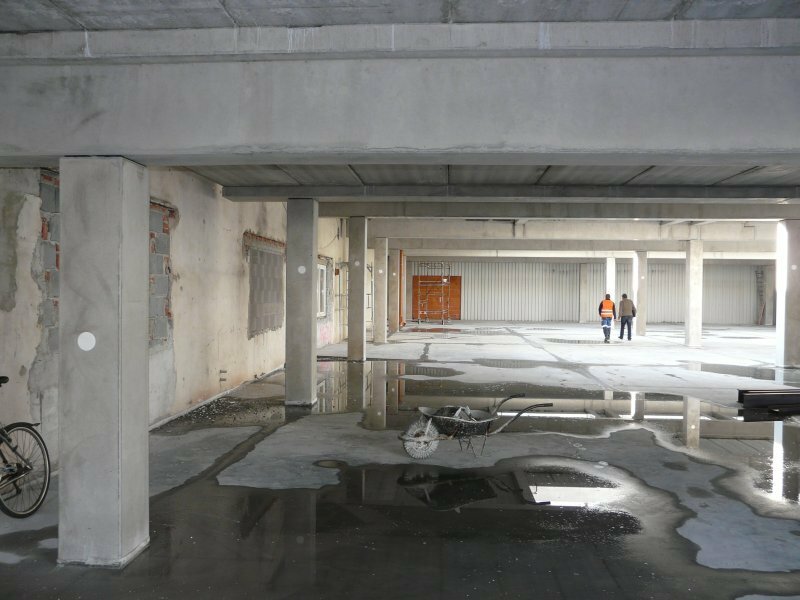 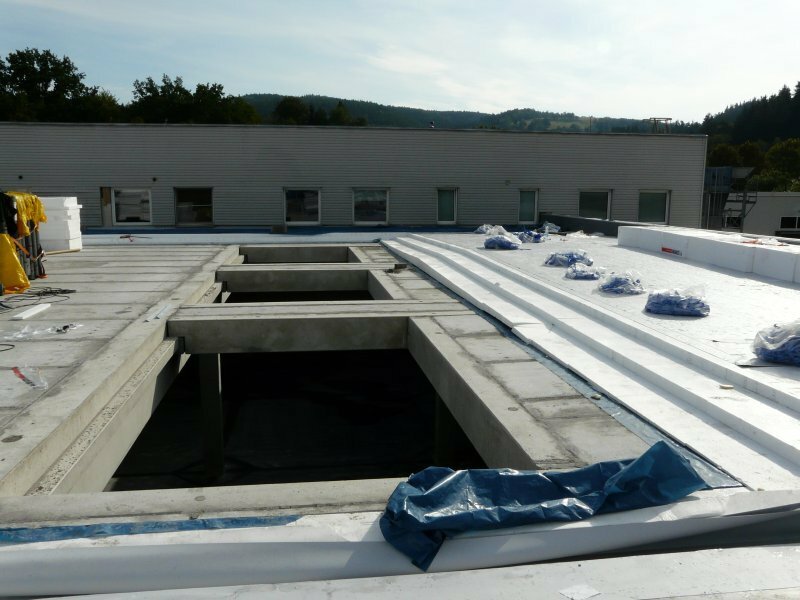 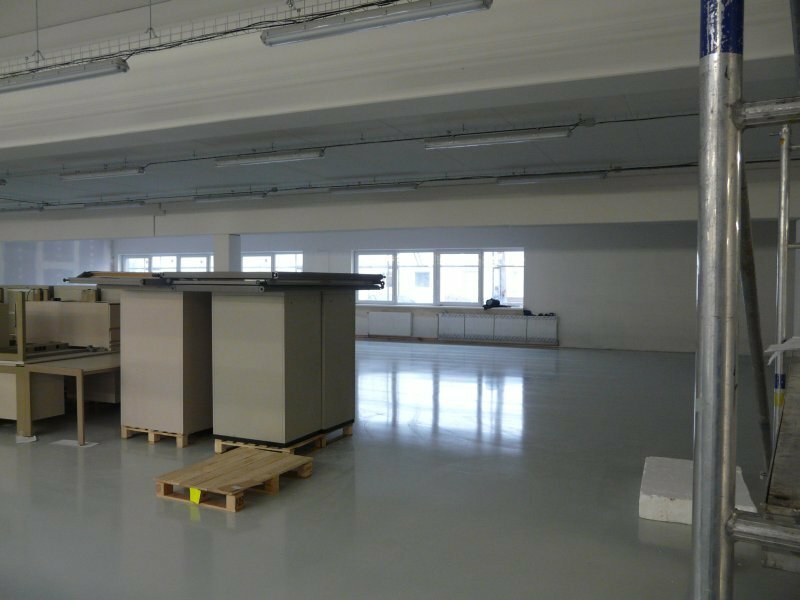 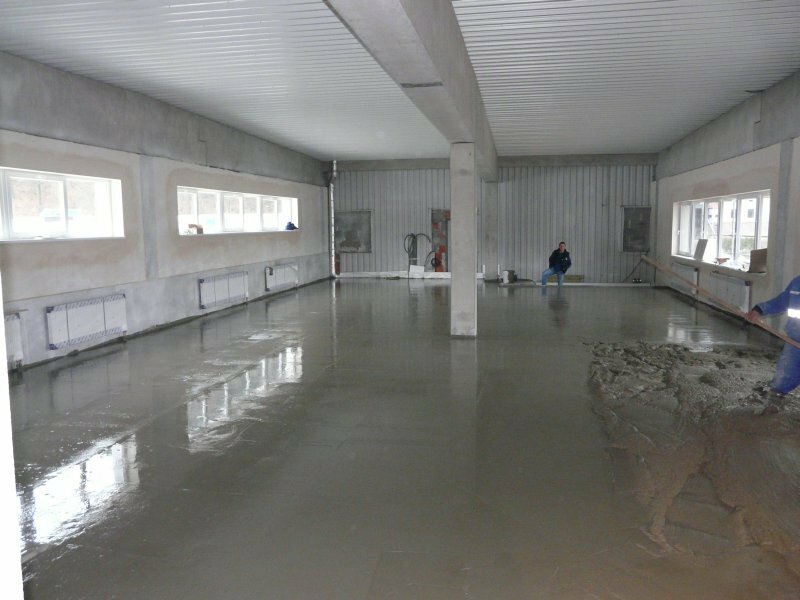 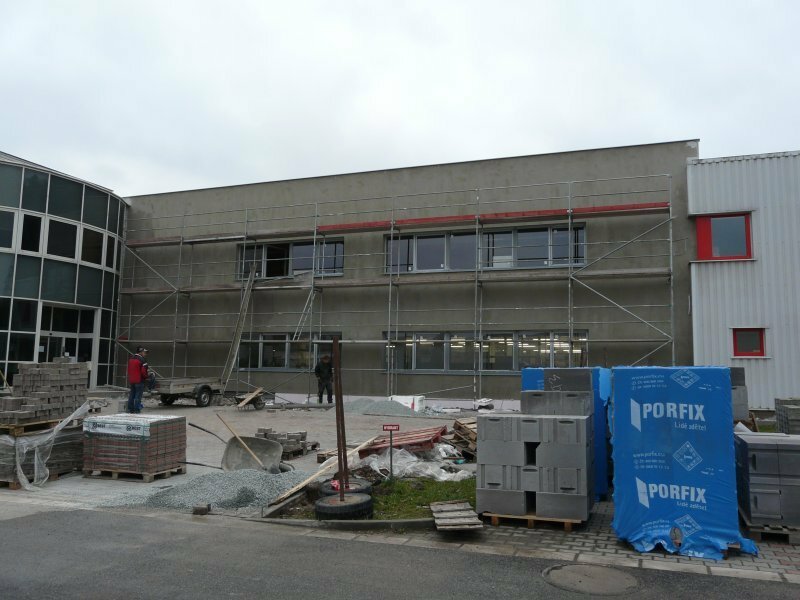 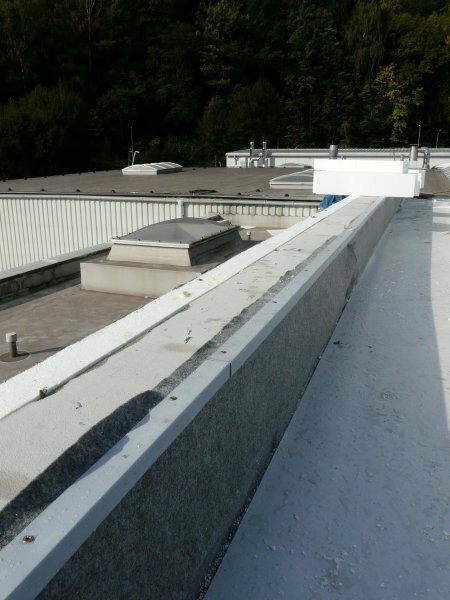 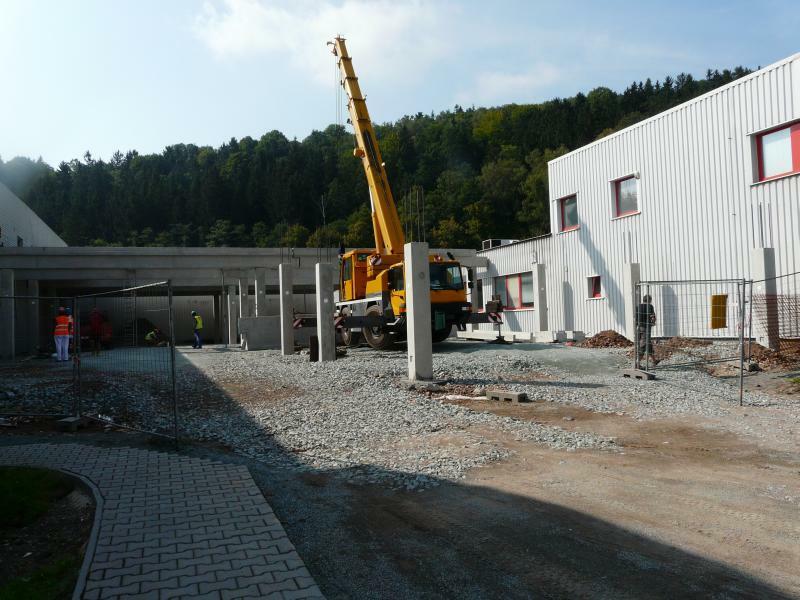 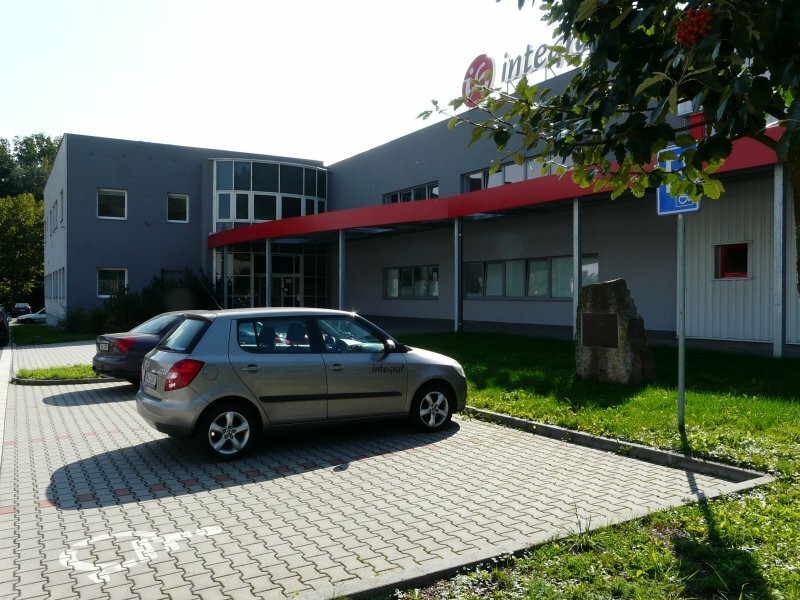 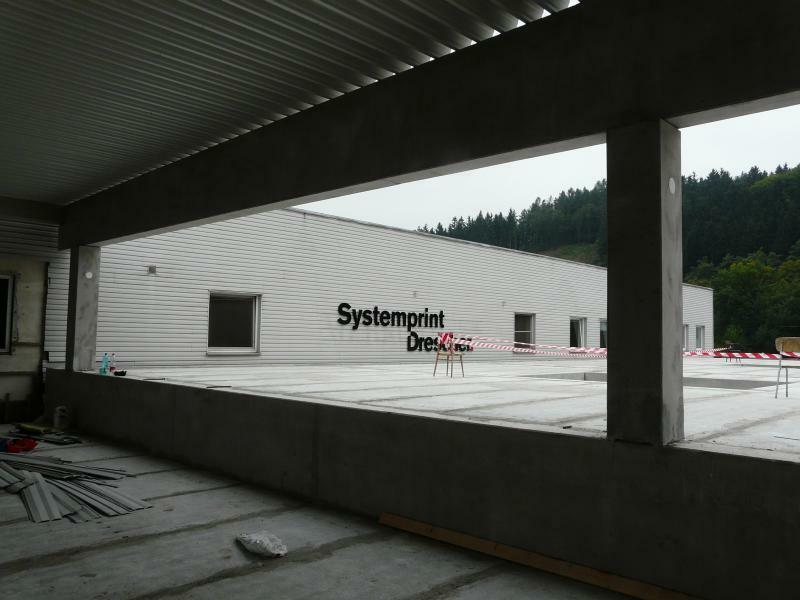 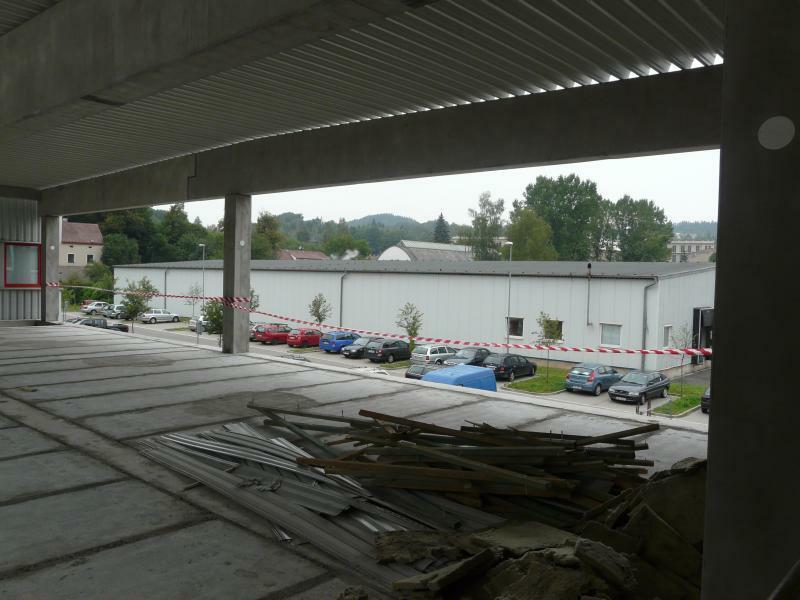 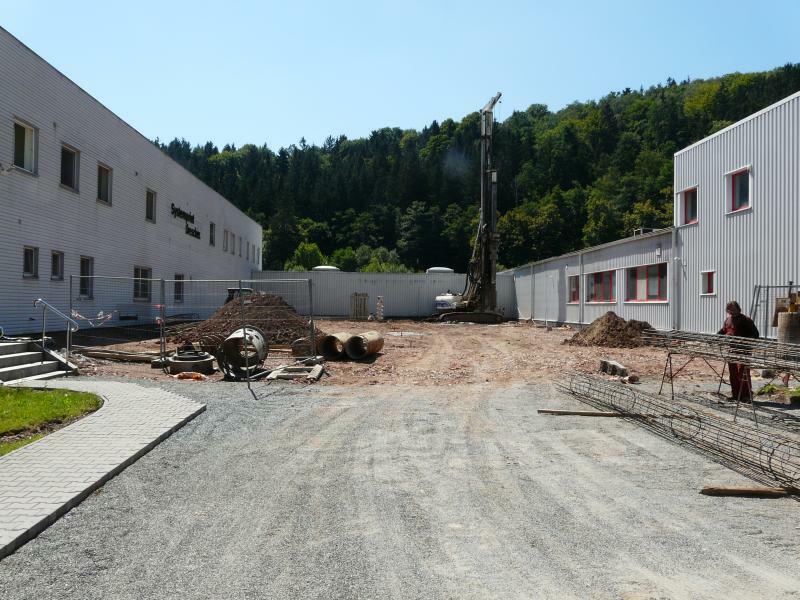 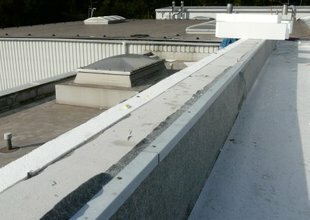 The intention of the investor was to build-up a free area between two existing manufacturing buildings on the premises of Integraf, s.r.o. 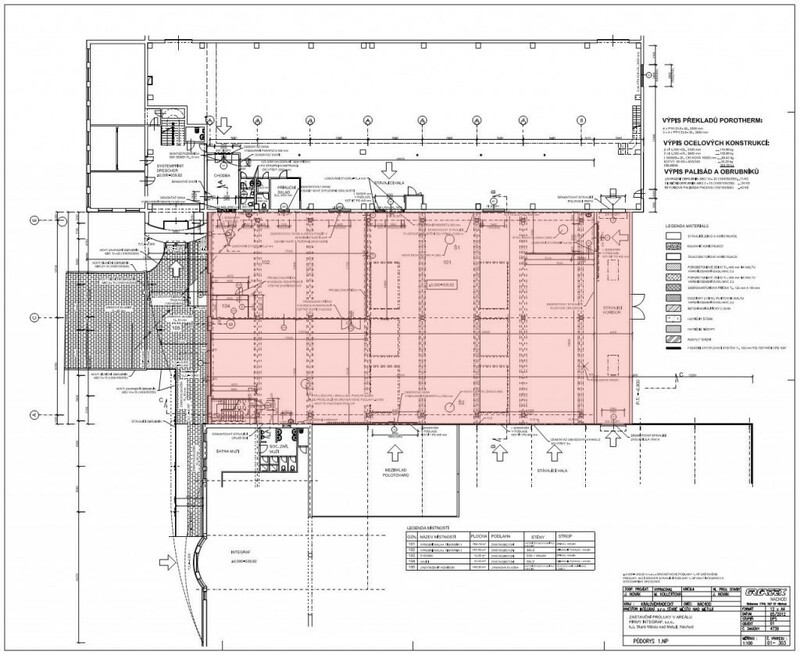 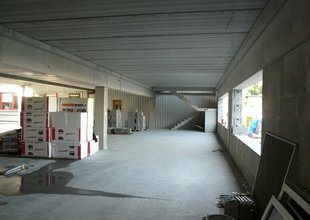 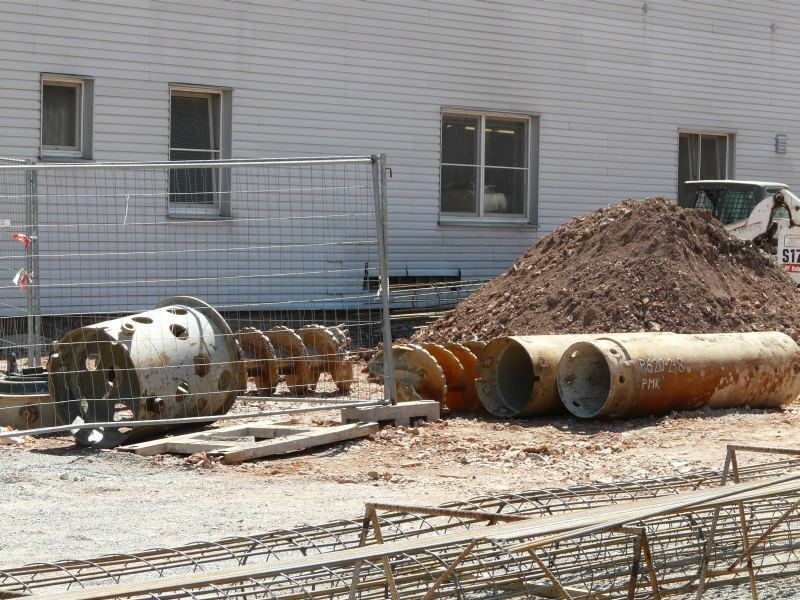 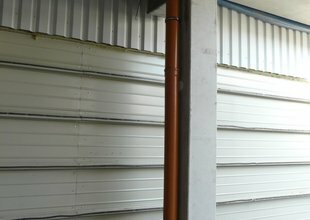 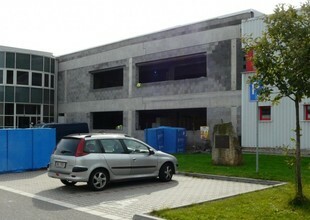 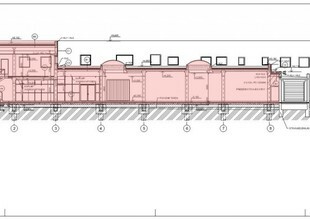 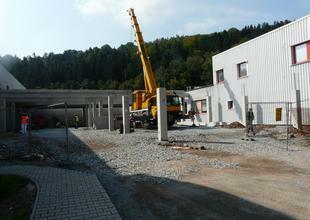 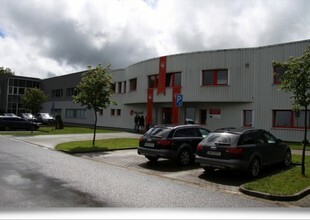 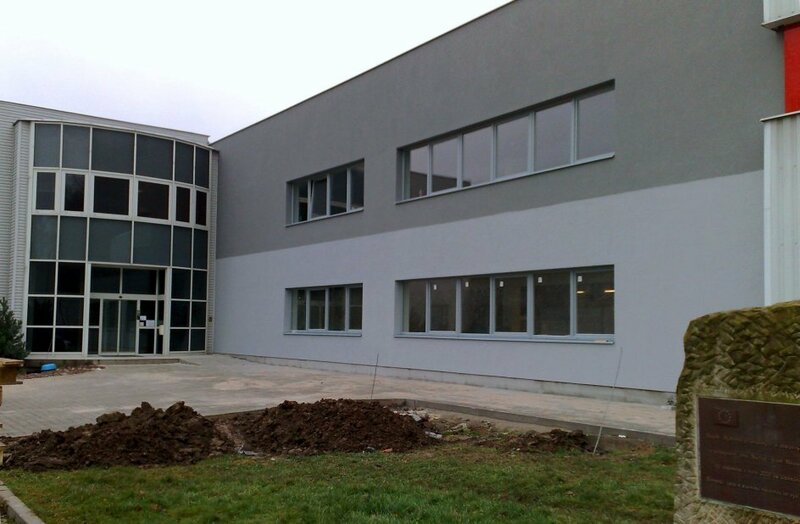 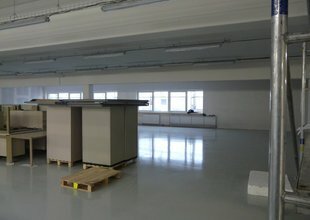 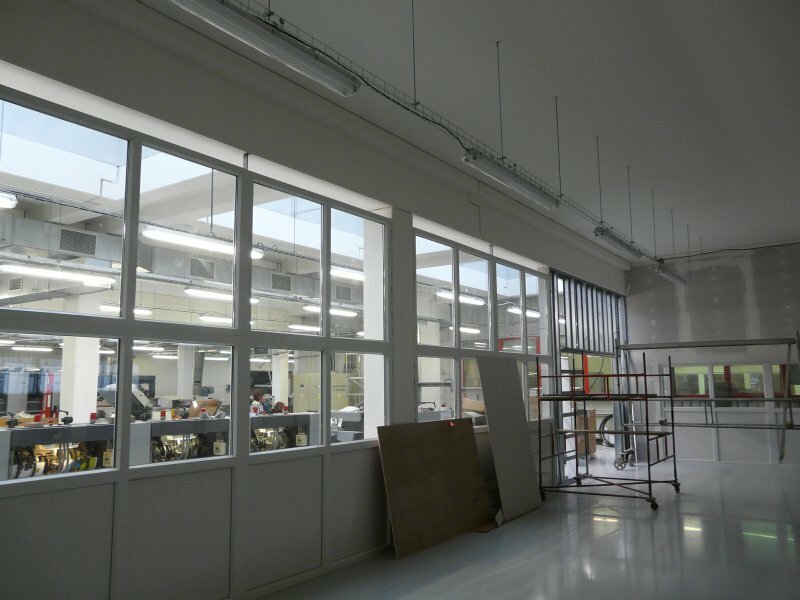 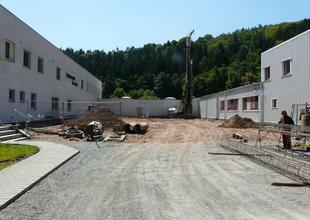 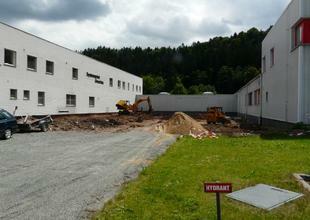 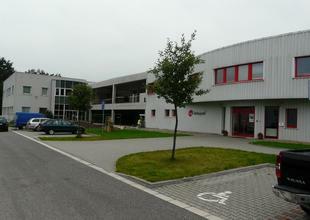 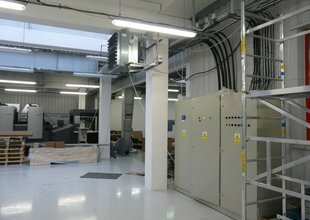 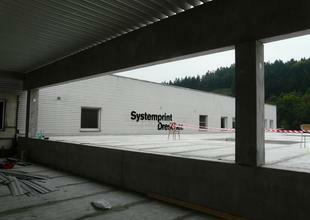 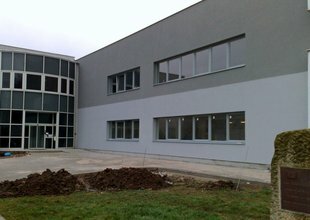 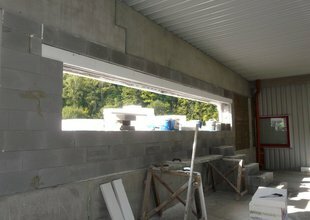 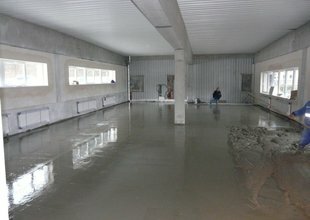 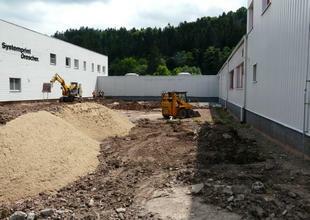 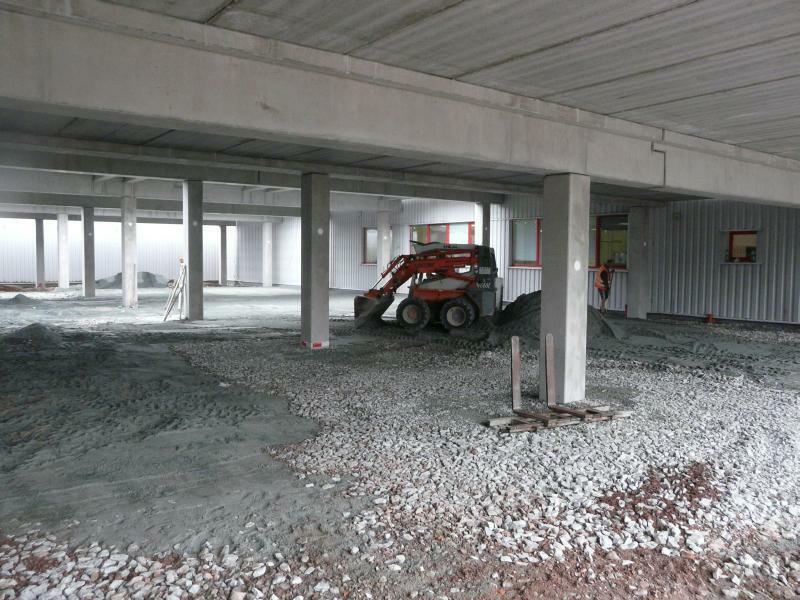 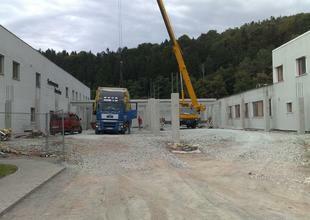 The new building expanded manufacturing capacities and connected the previously separated buildings. 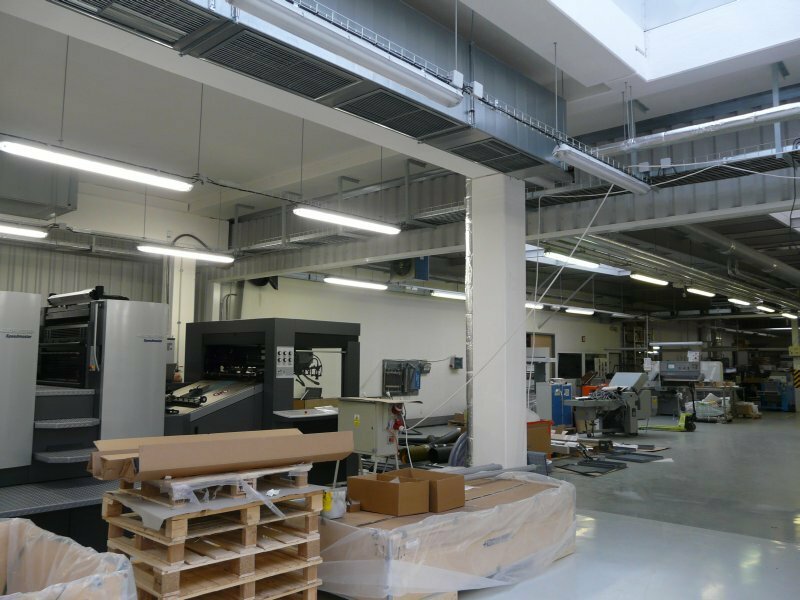 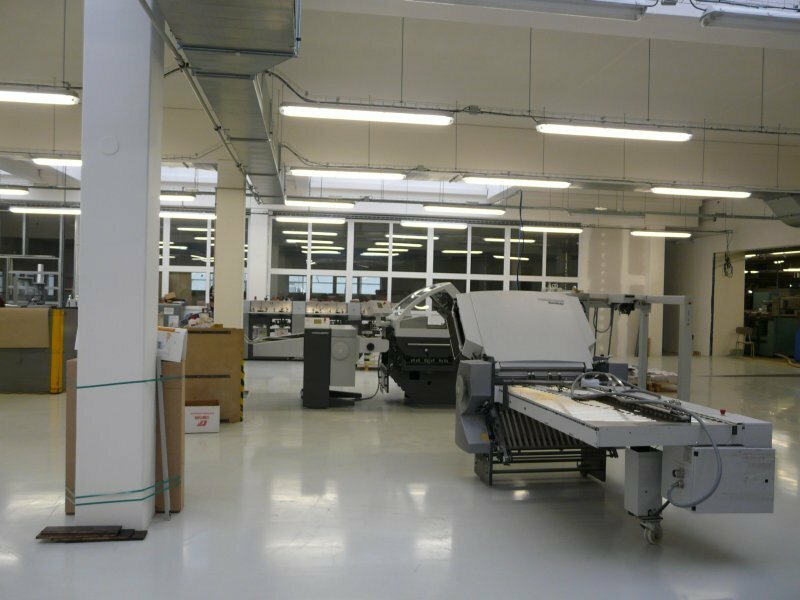 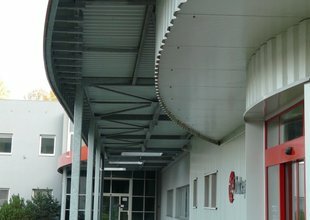 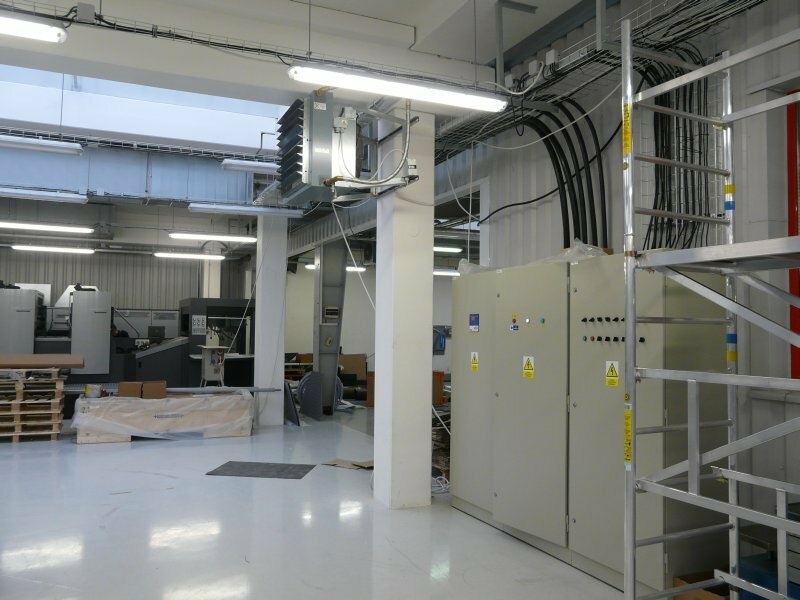 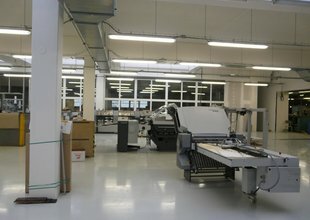 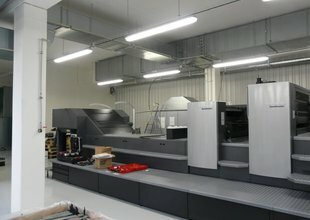 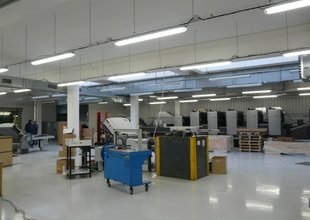 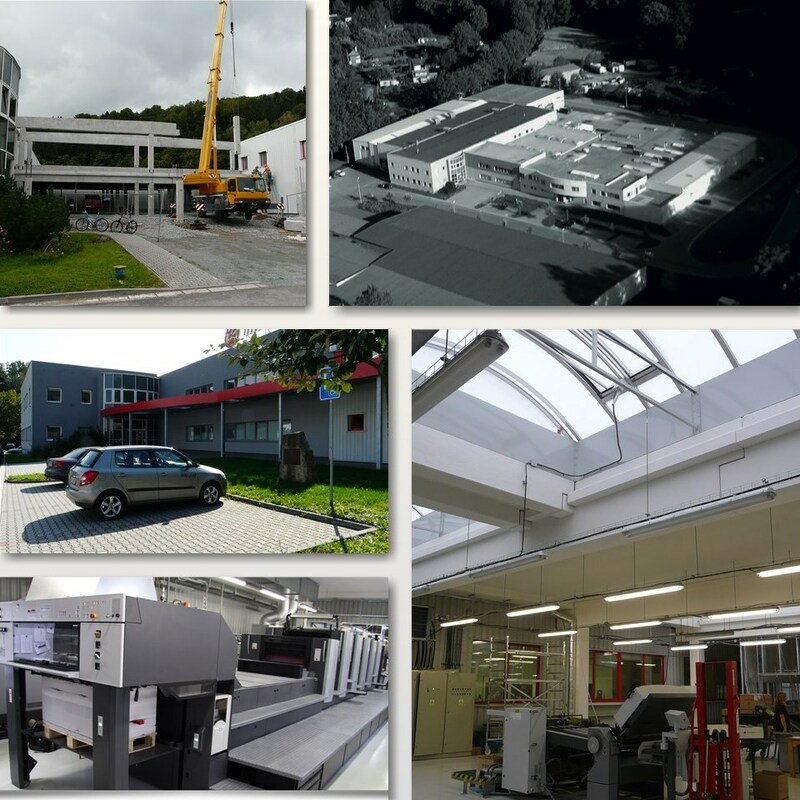 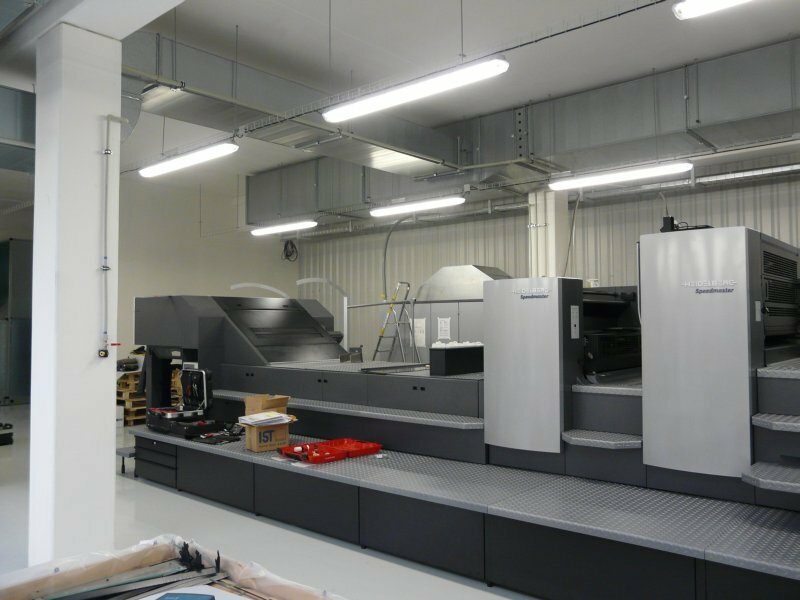 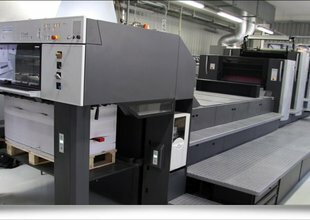 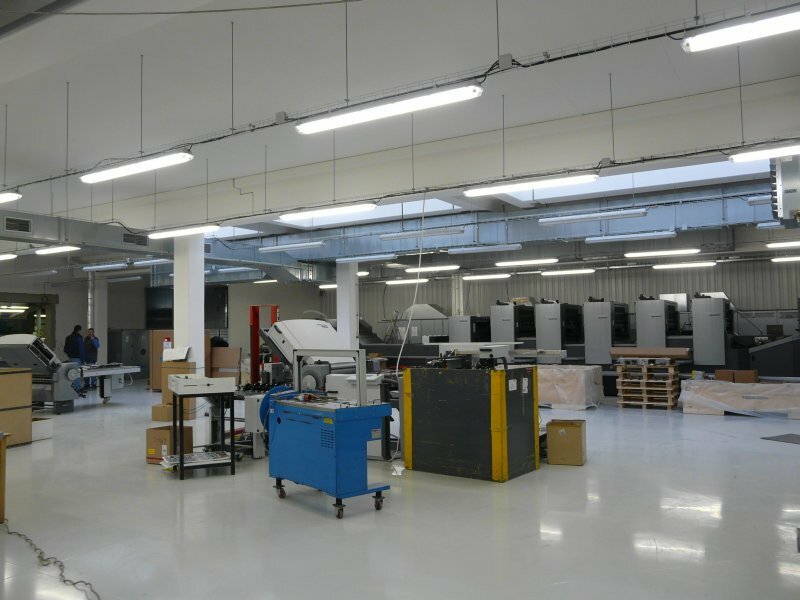 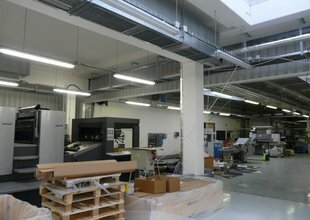 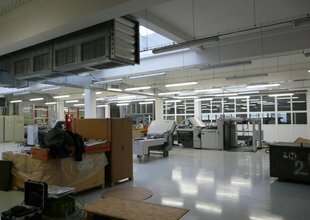 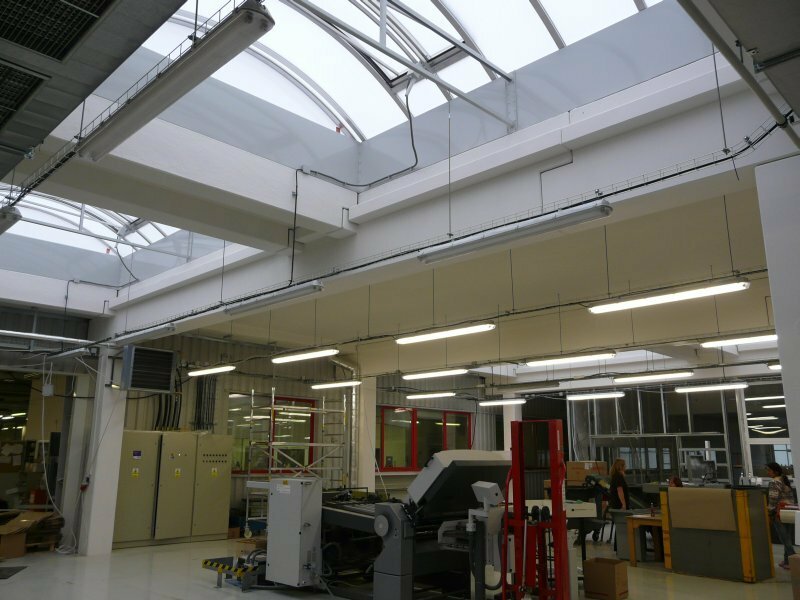 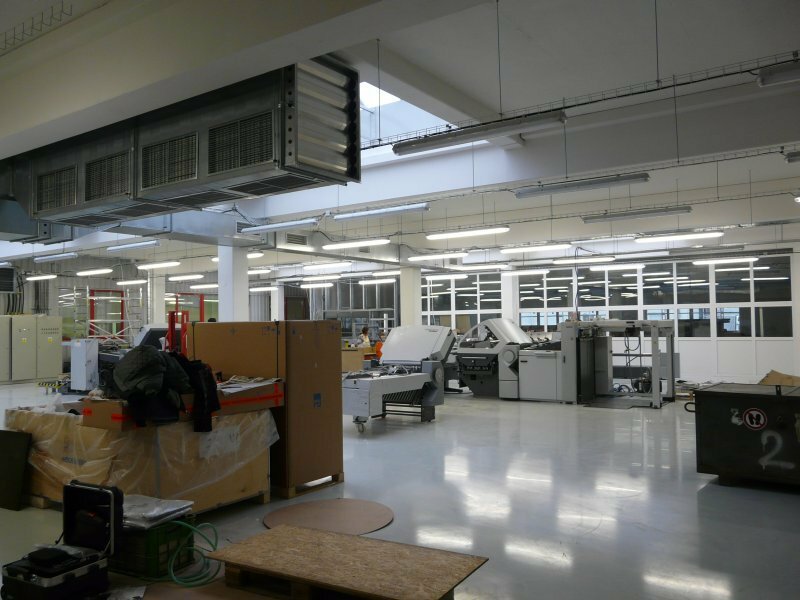 The respective production hall and the printing machines are located on the ground floor. 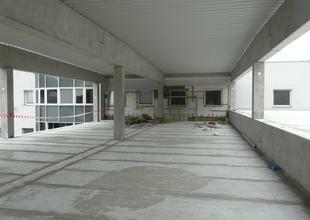 Part of the building is two storeyed. 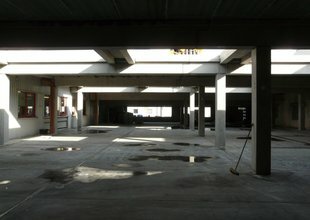 A large administrative section connected with both the adjacent buildings was placed here. 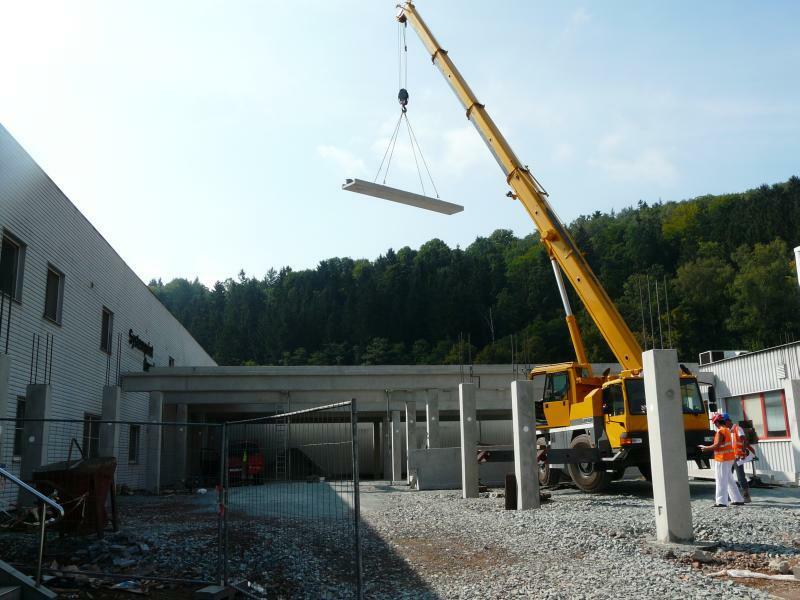 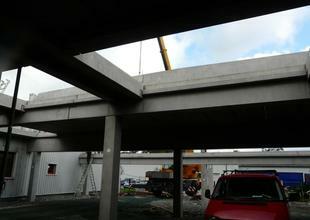 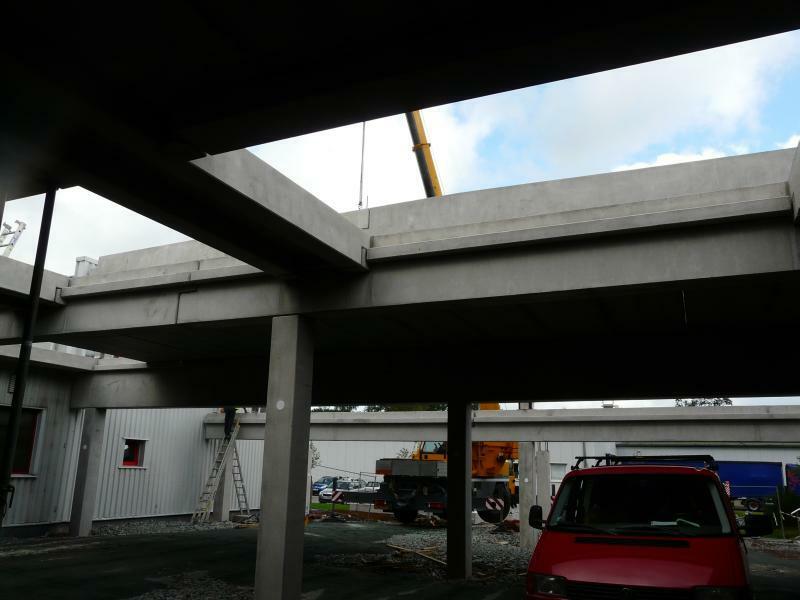 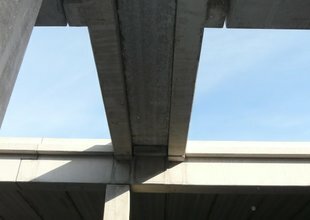 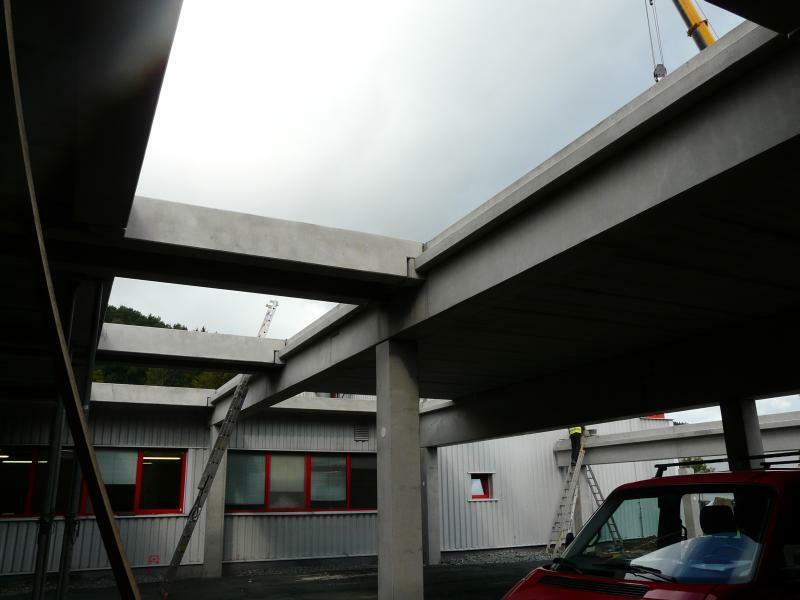 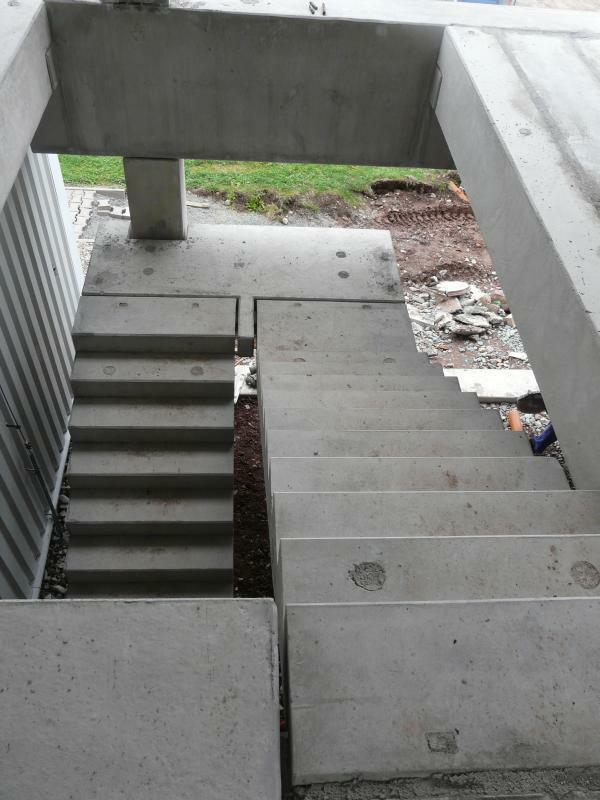 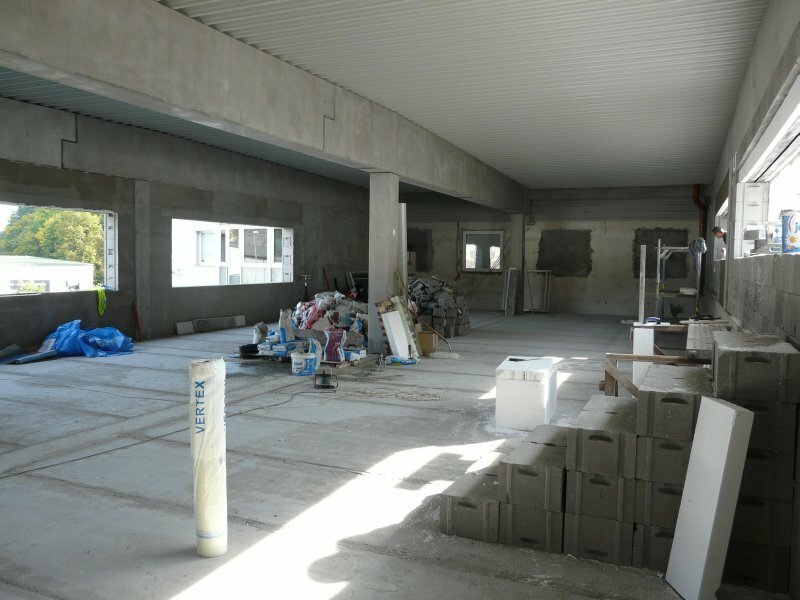 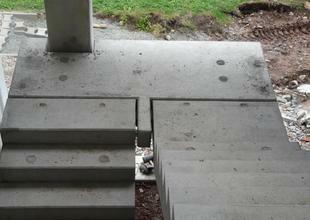 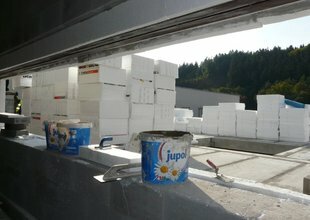 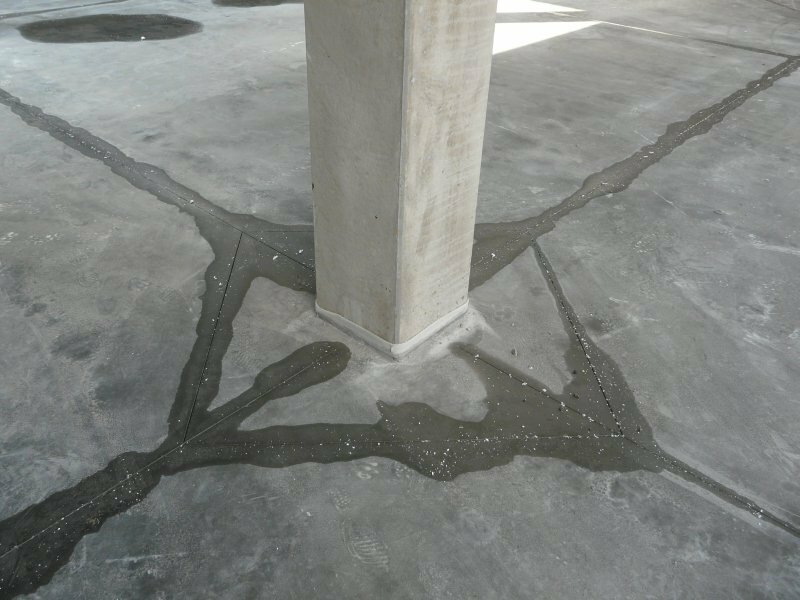 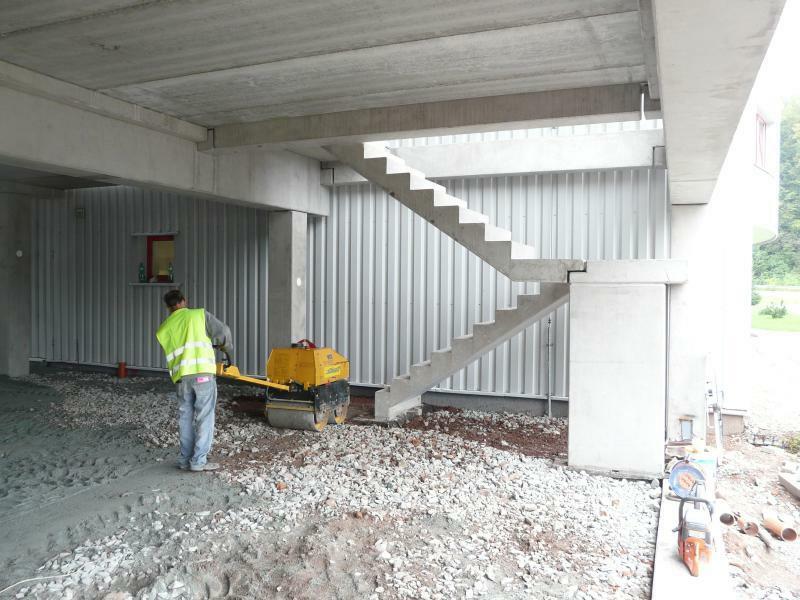 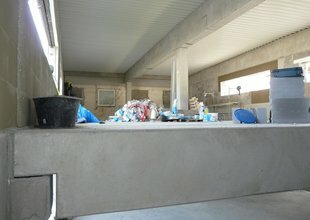 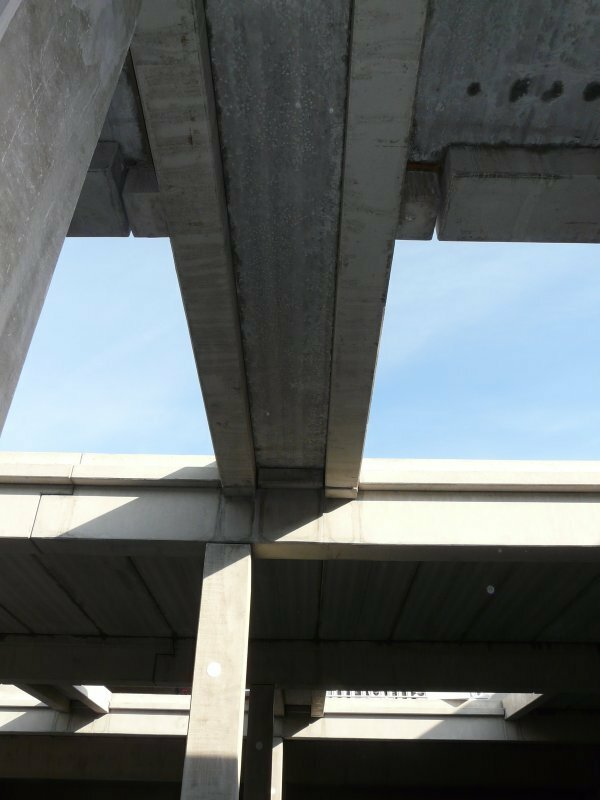 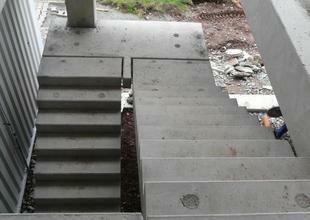 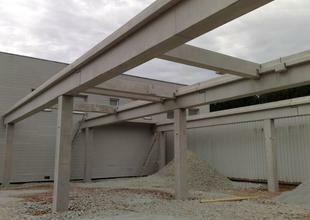 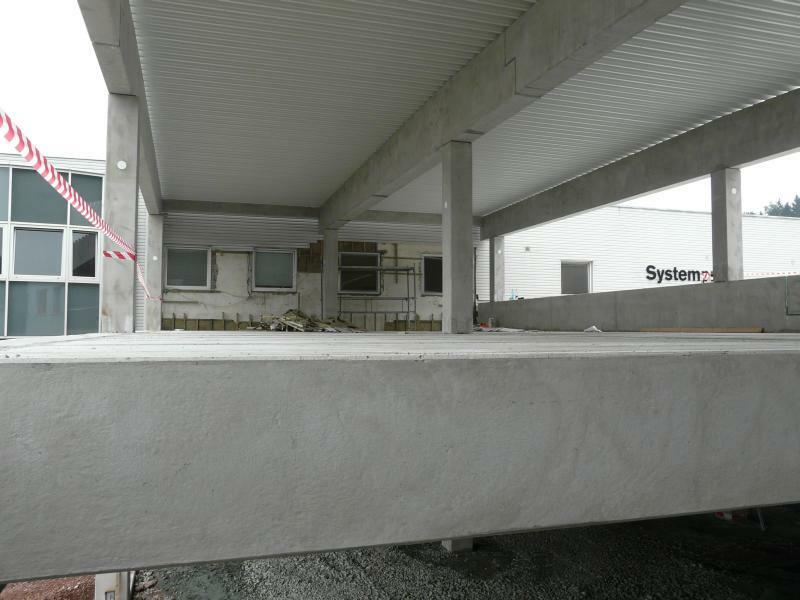 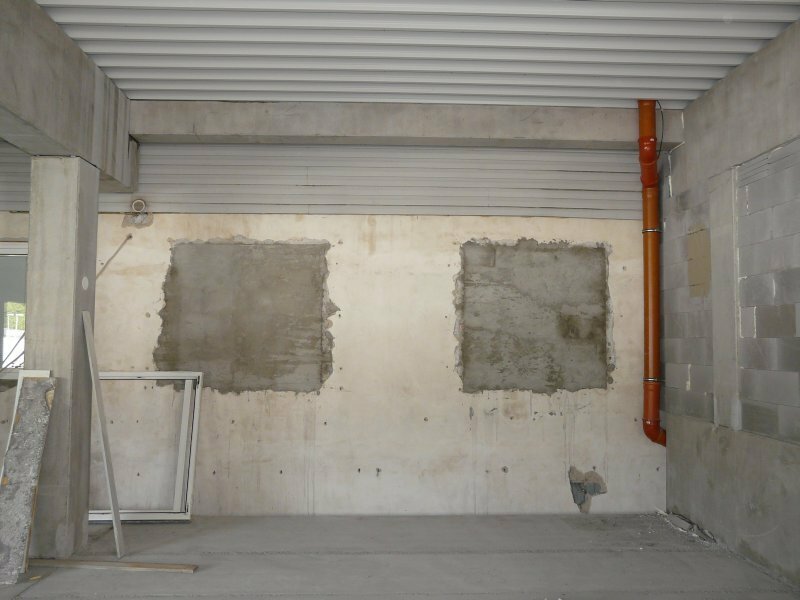 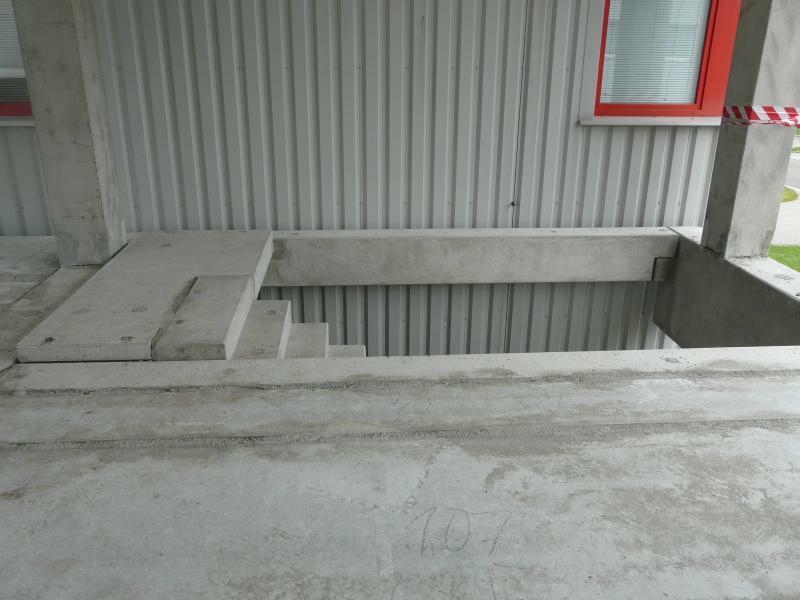 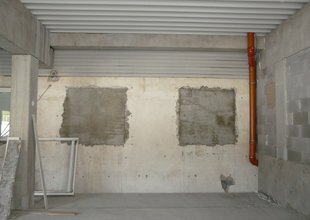 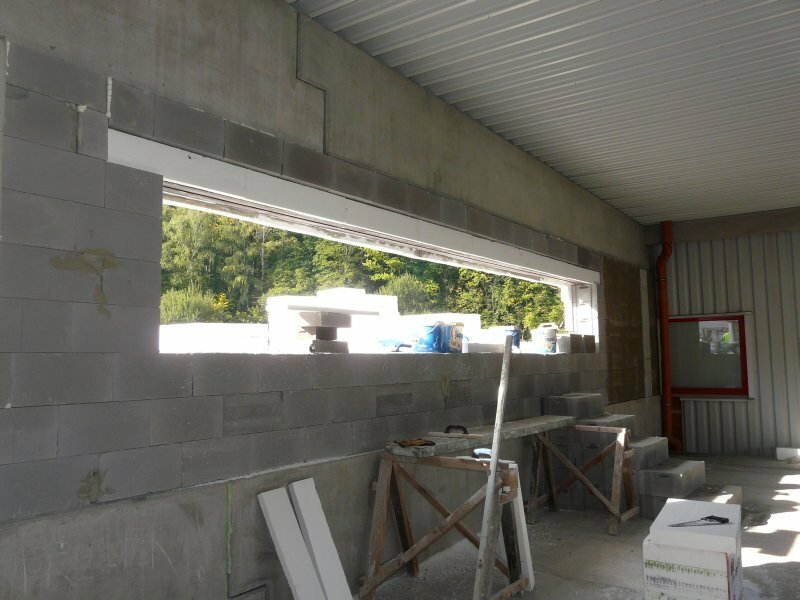 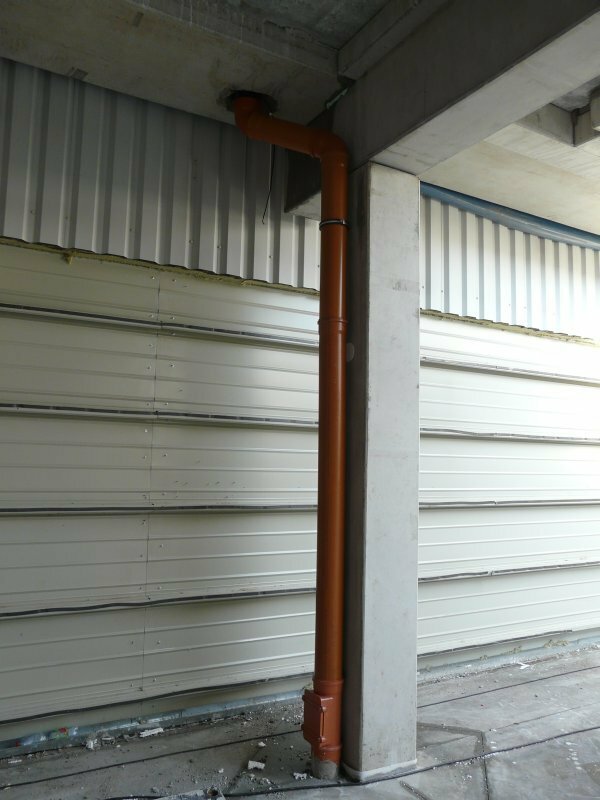 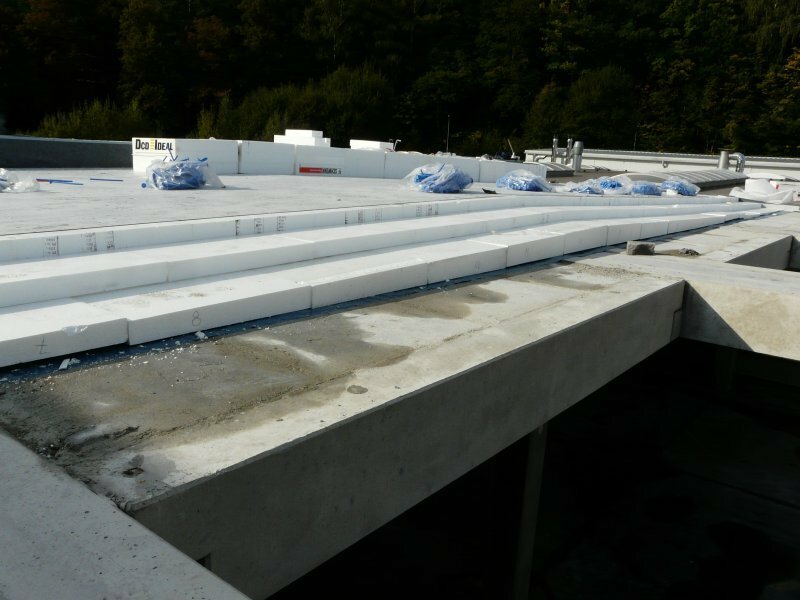 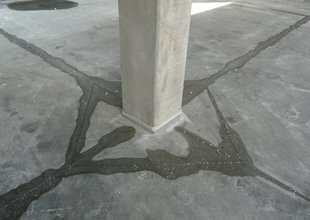 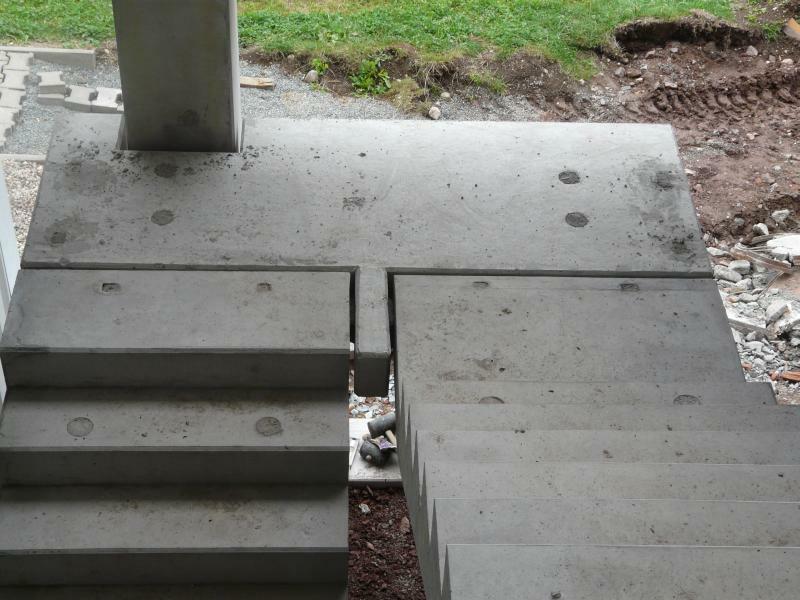 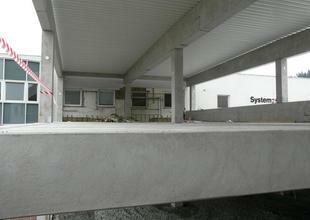 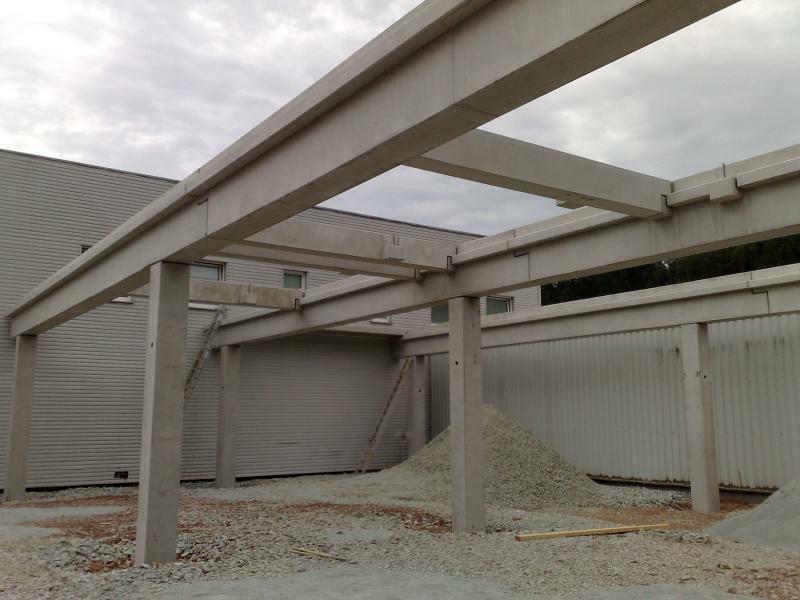 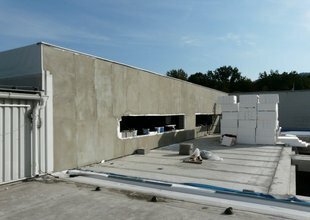 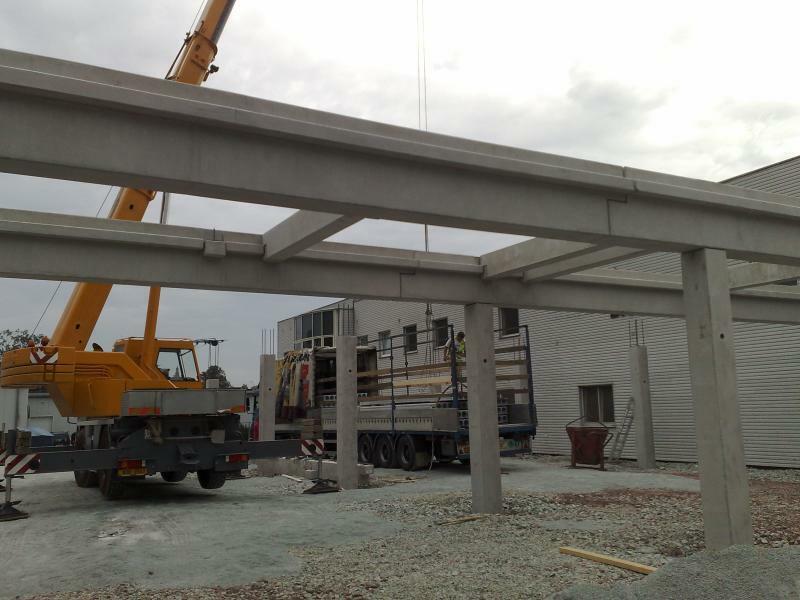 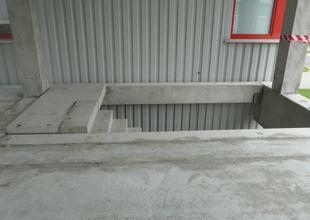 The load-bearing structure of the building consists of a prefabricated reinforced concrete frame. 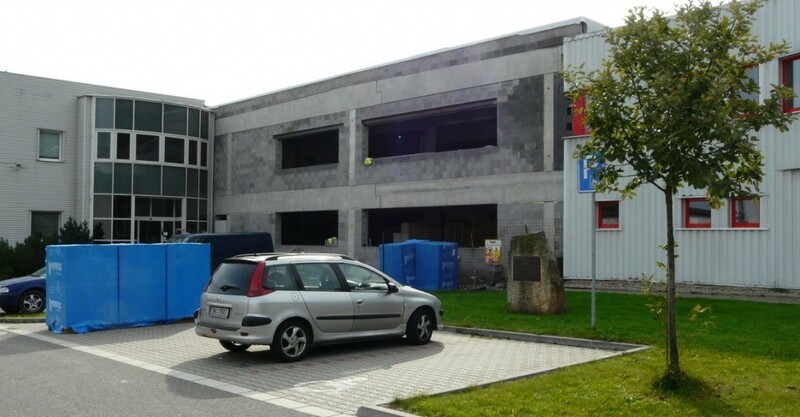 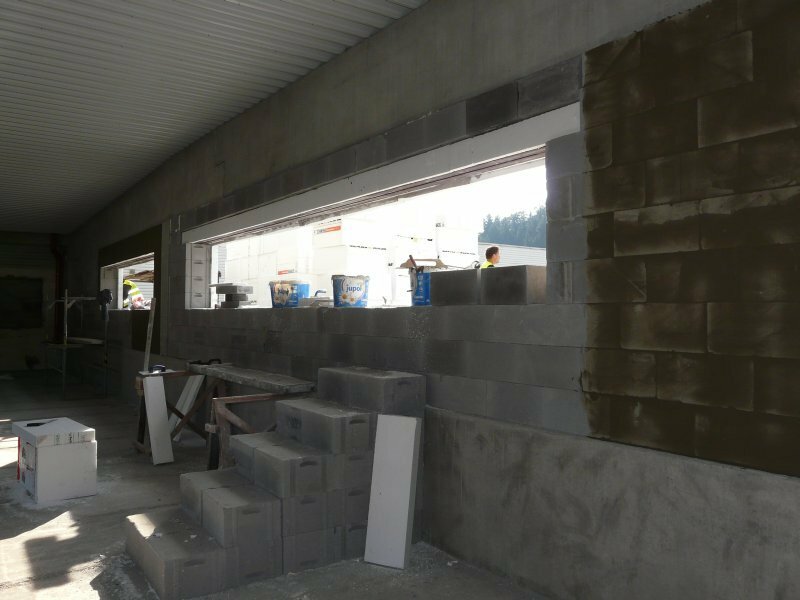 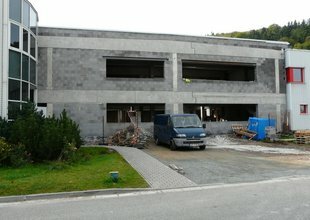 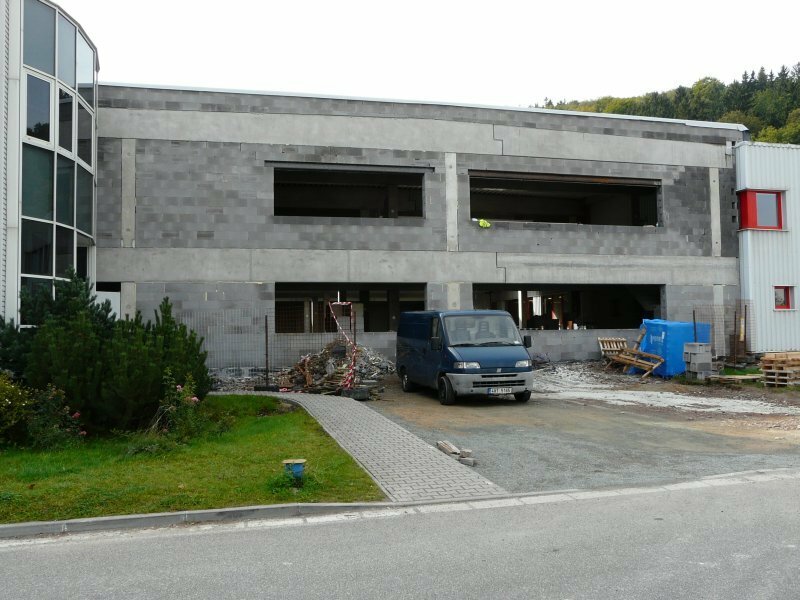 The main facade consists of light-weight concrete blocks. 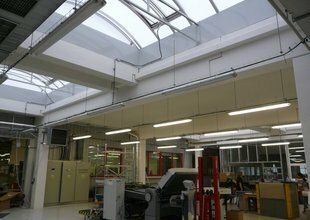 The interior of the hall is illuminated with polycarbonate elongated light wells. 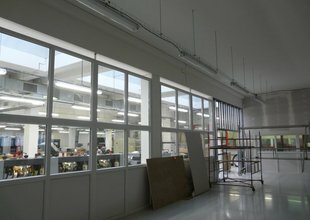 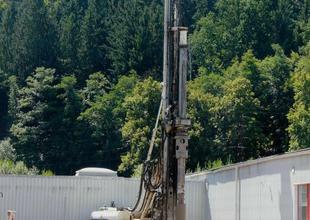 The production areas are air-conditioned. 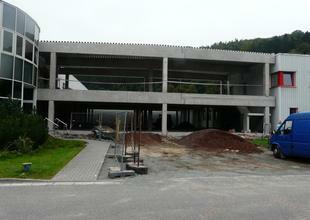 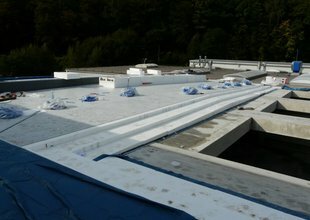 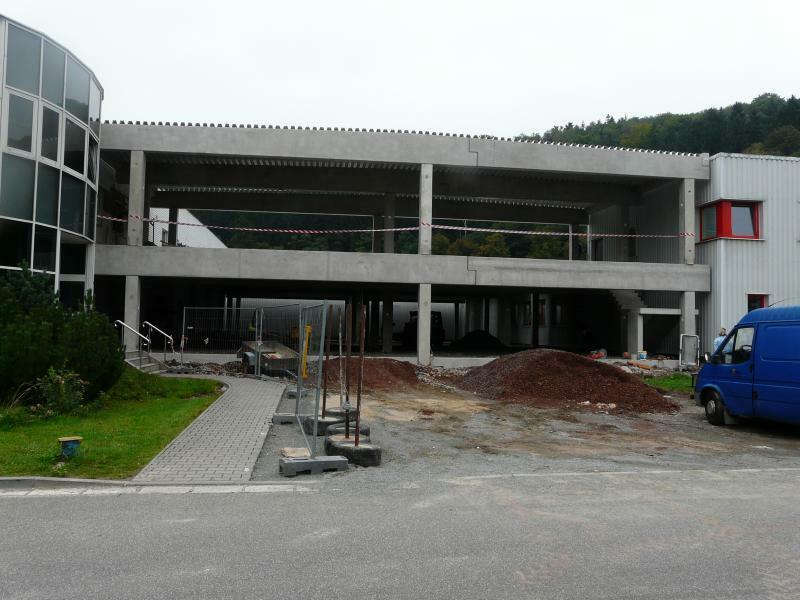 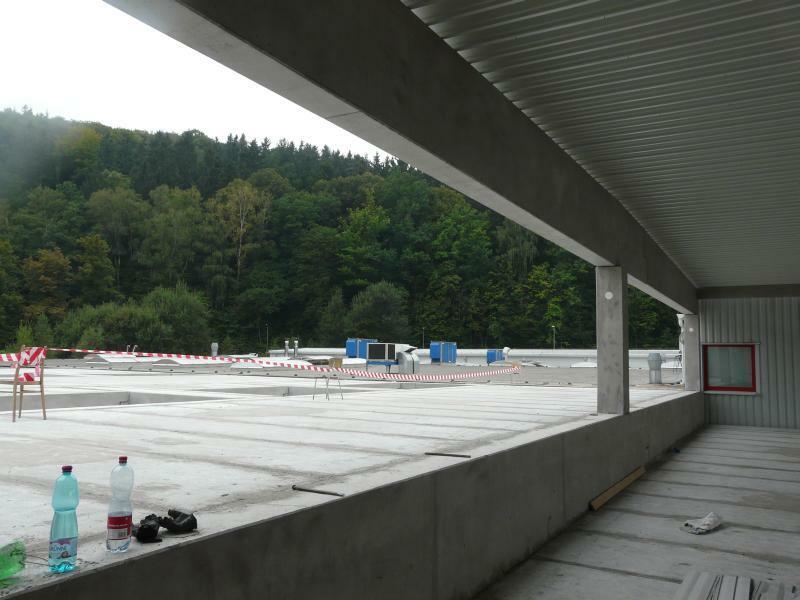 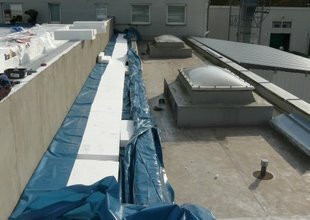 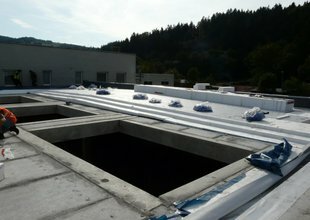 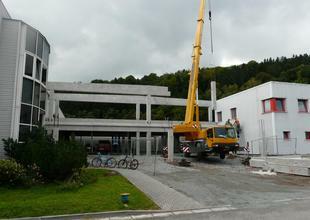 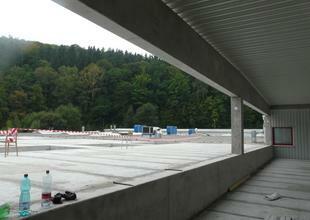 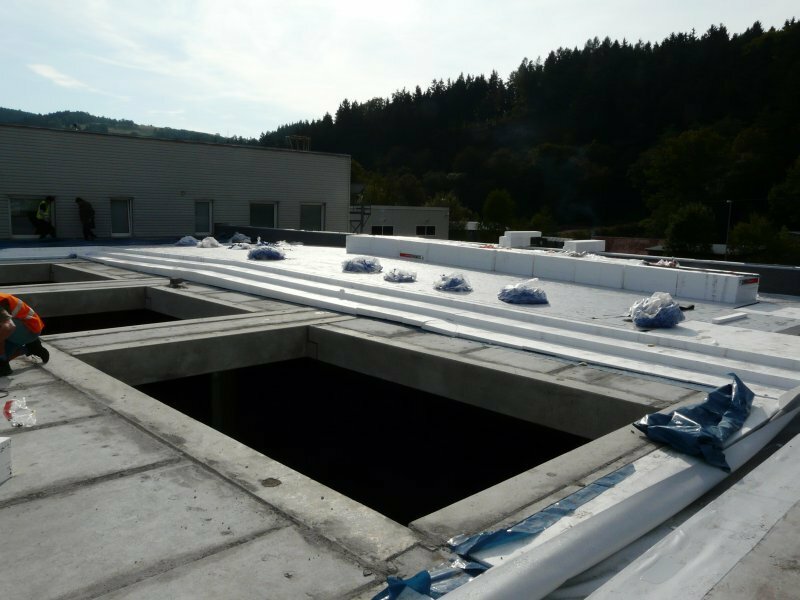 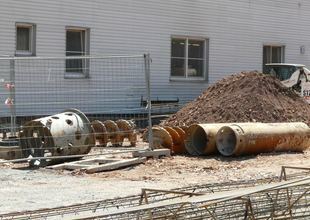 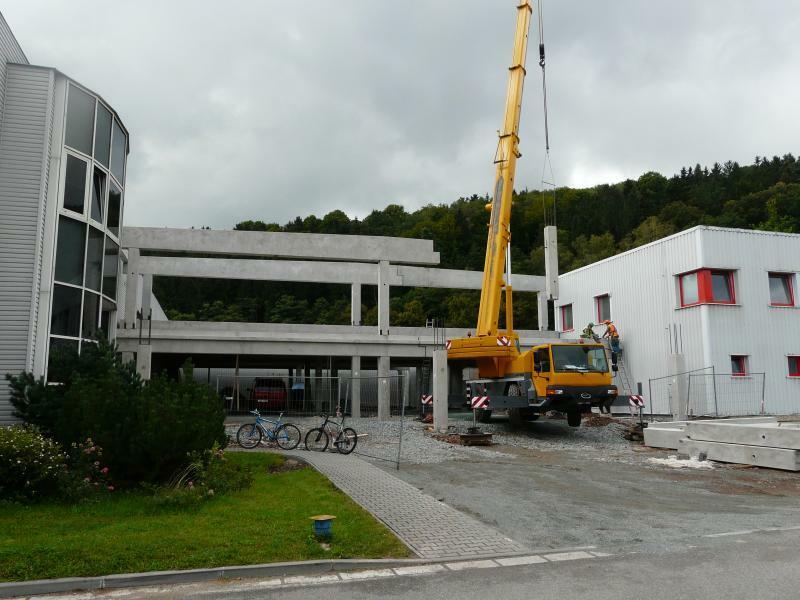 In front of the new hall, a roof covering the road interconnecting the existing buildings has been designed.